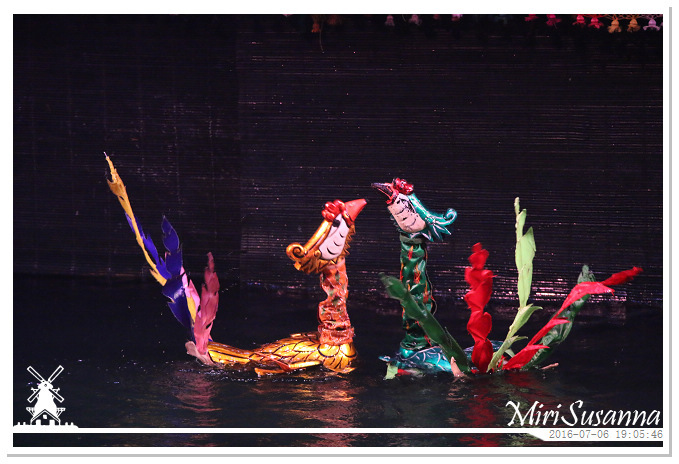 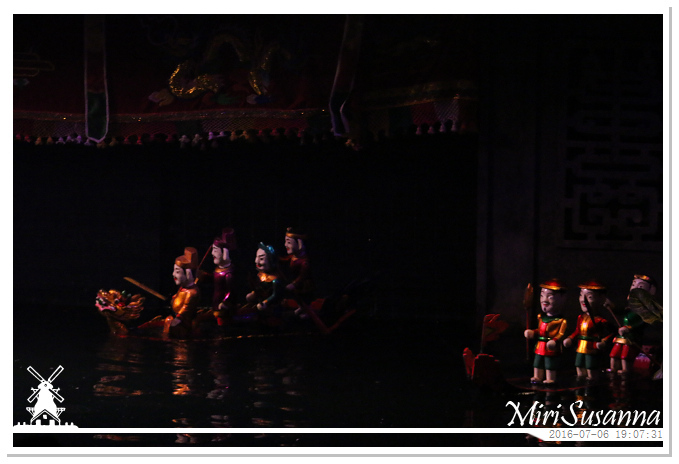 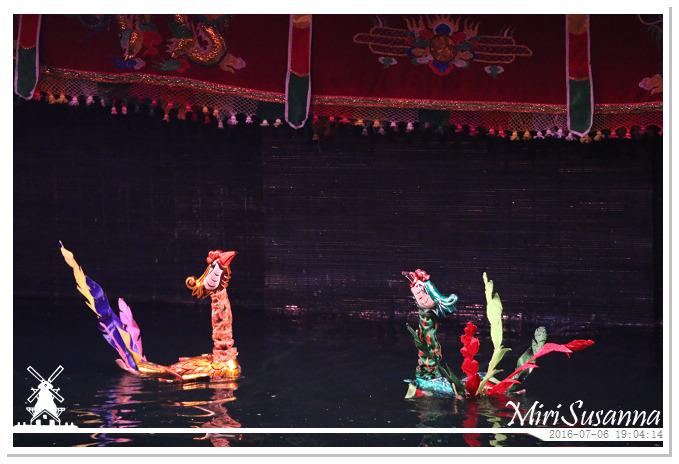 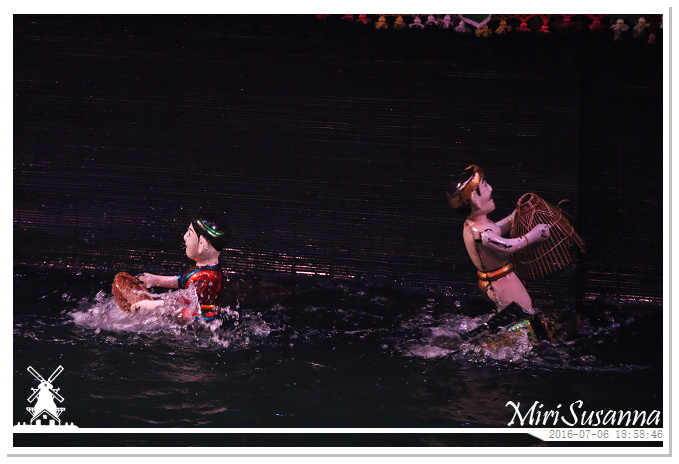 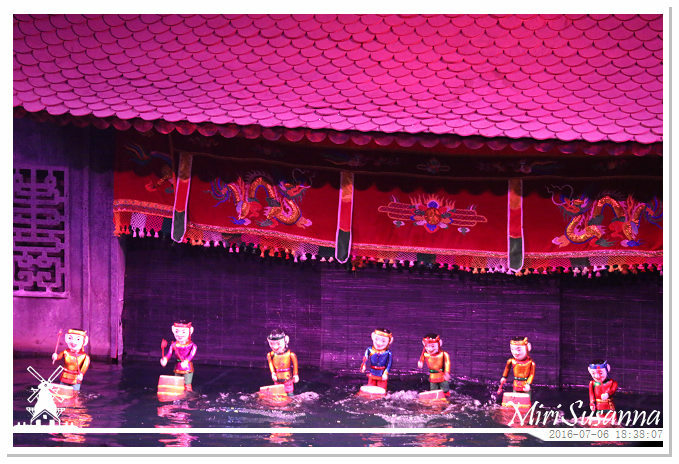 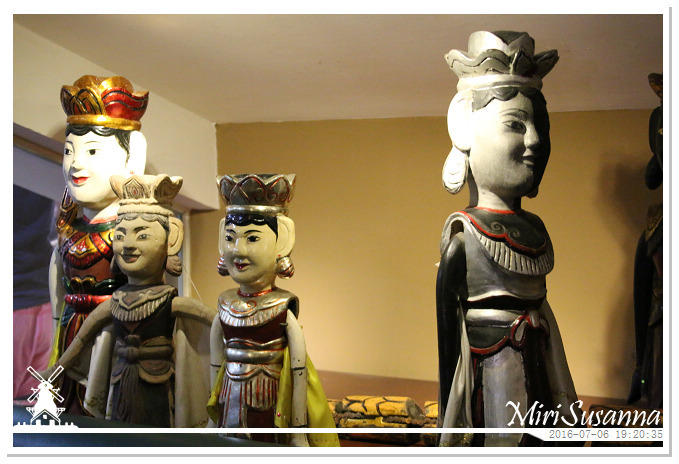 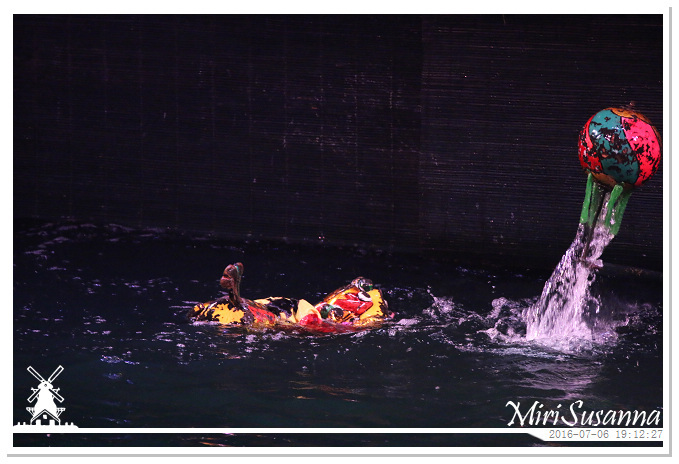 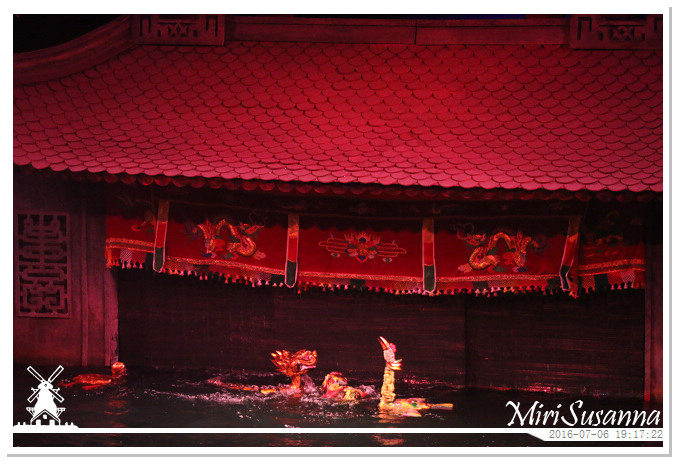 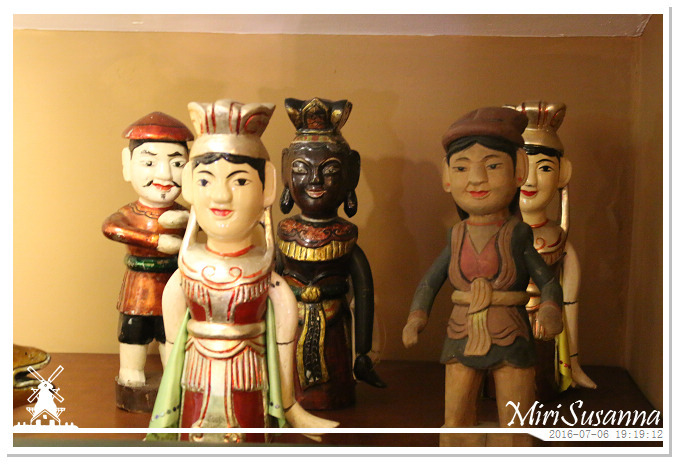 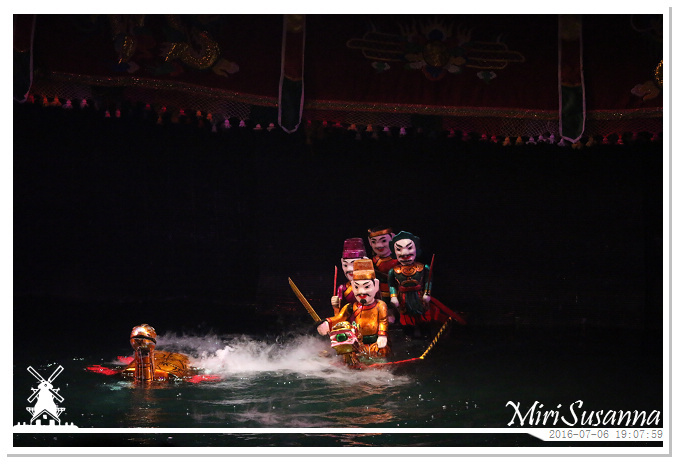 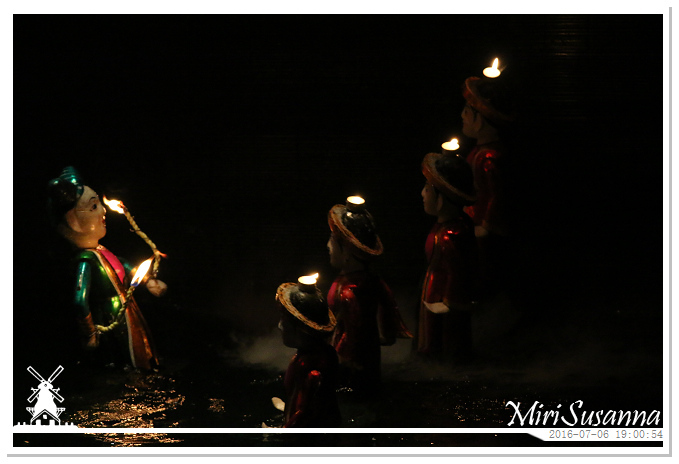 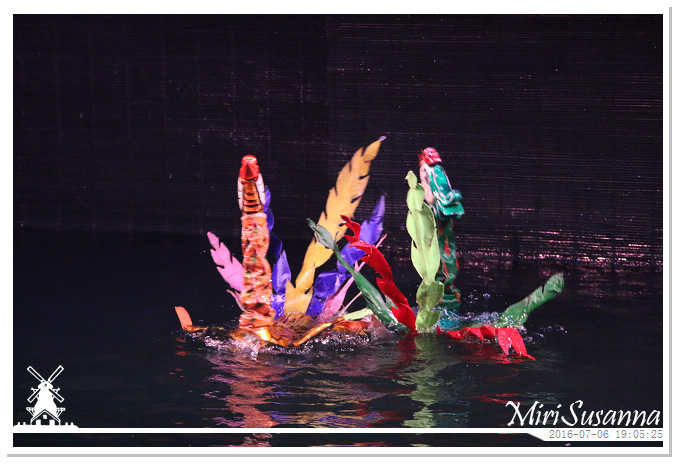 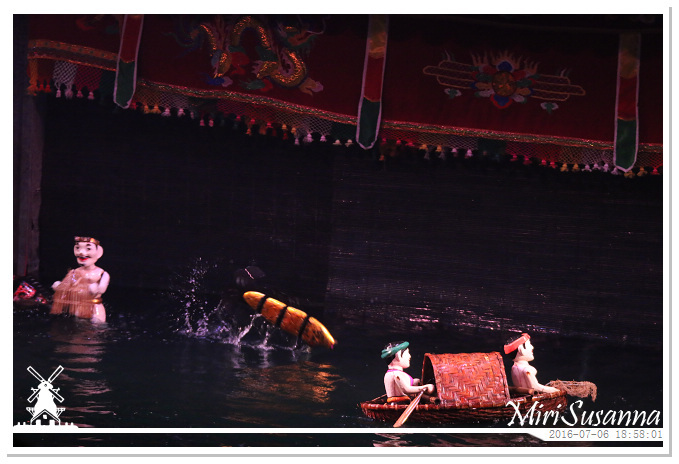 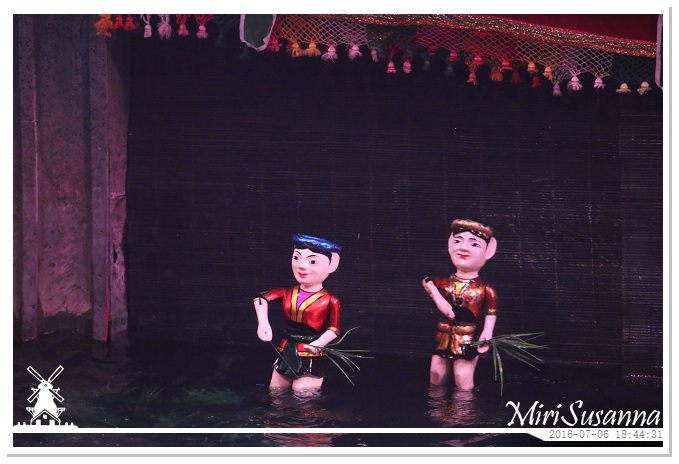 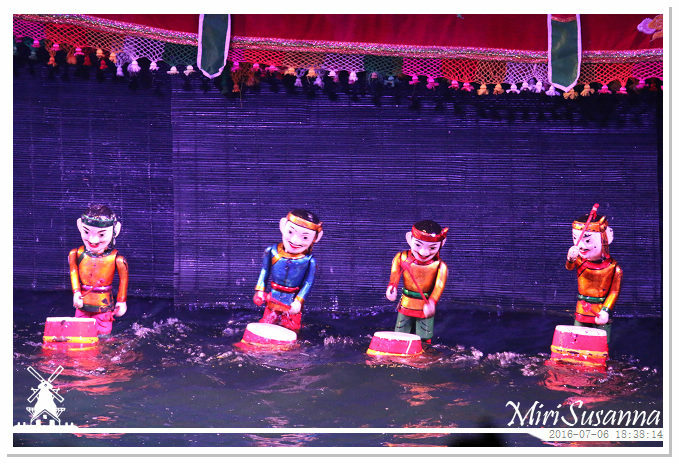 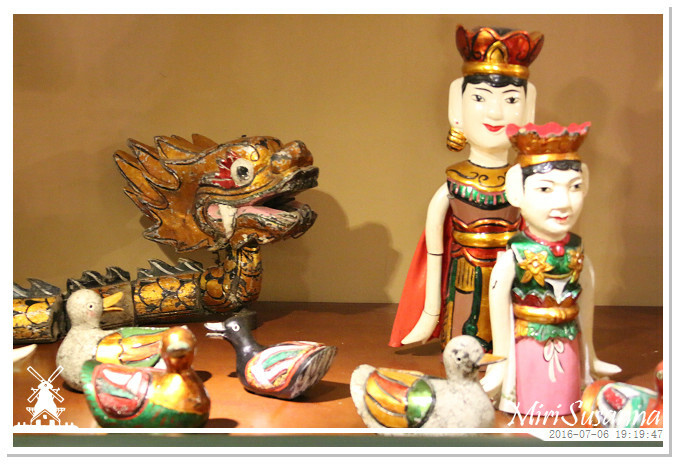 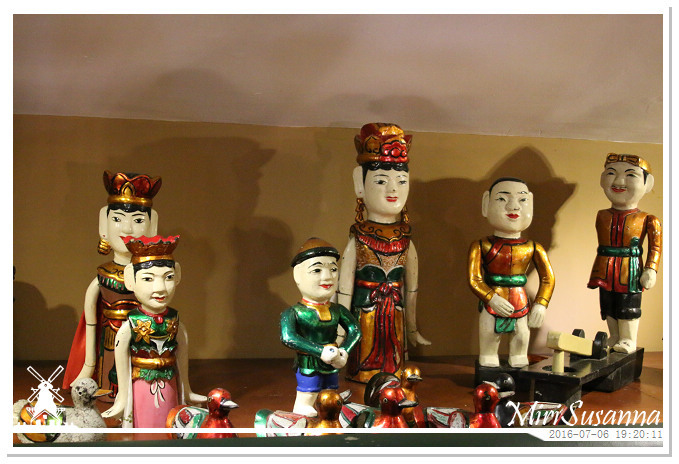 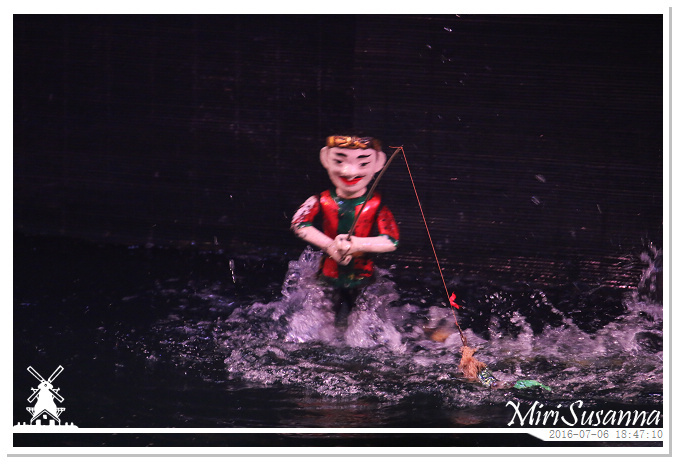 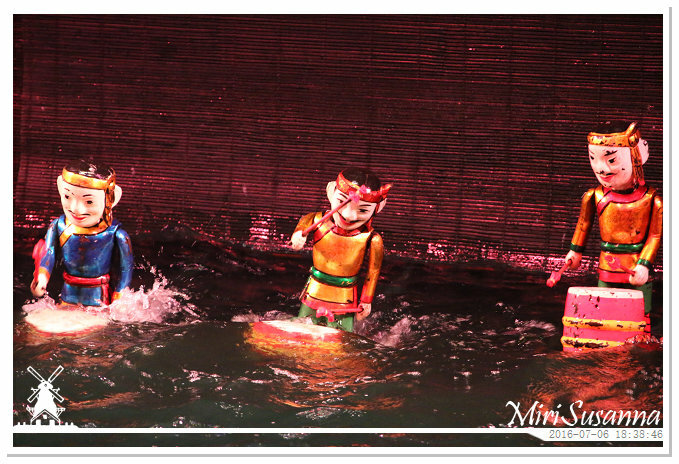 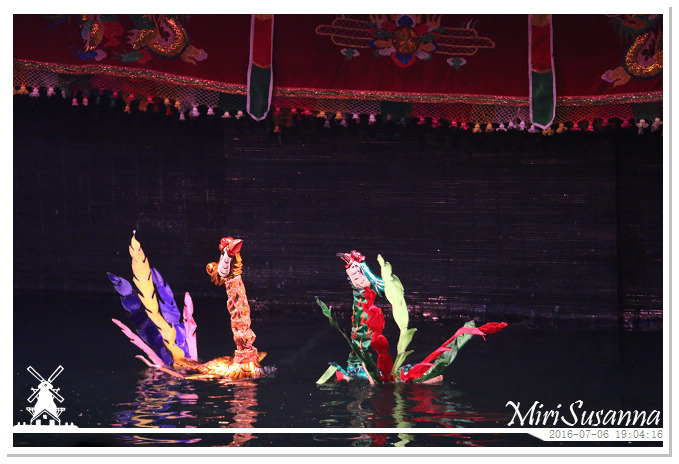 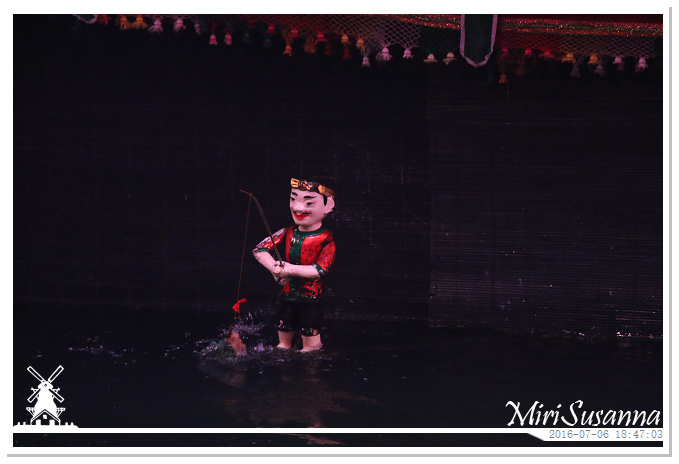 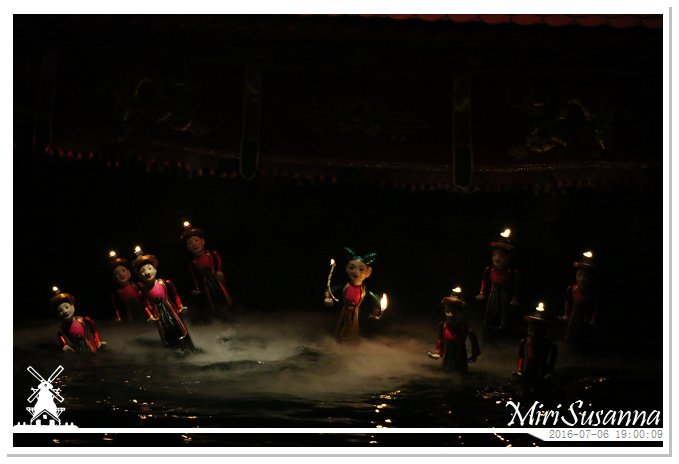 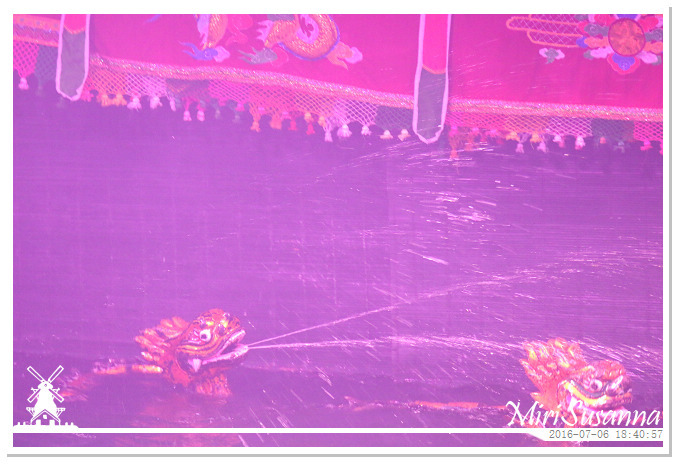 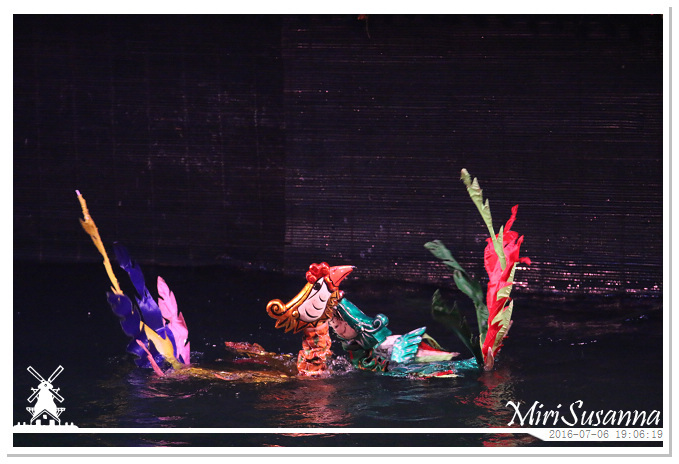 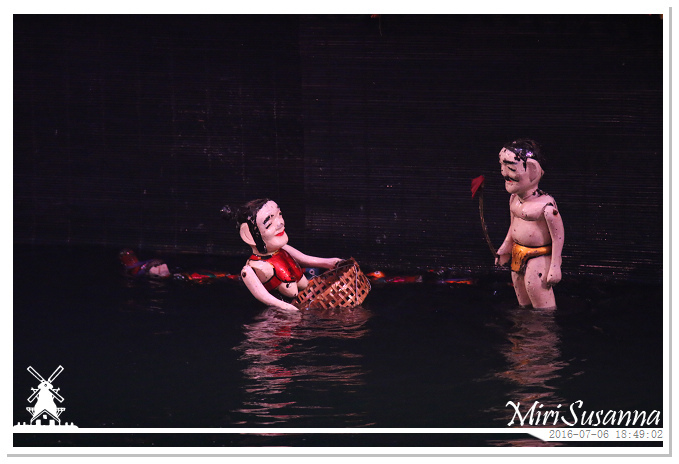 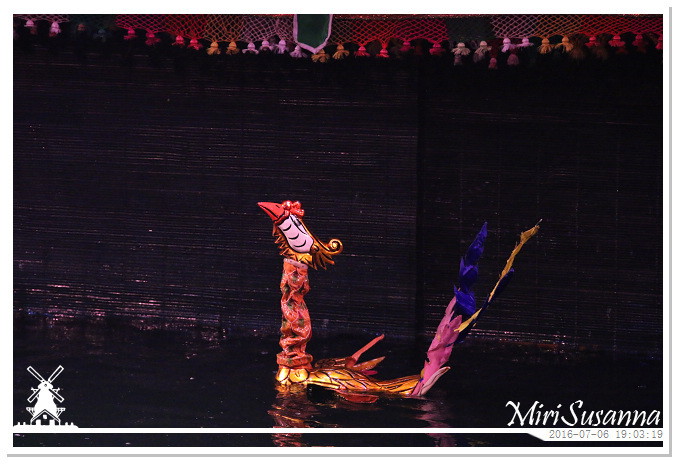 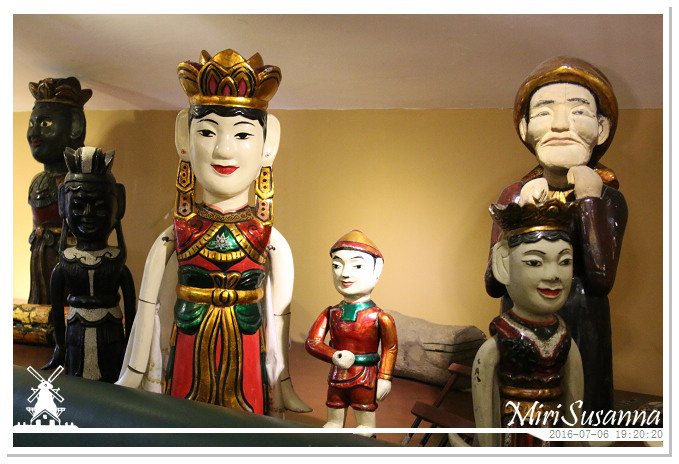 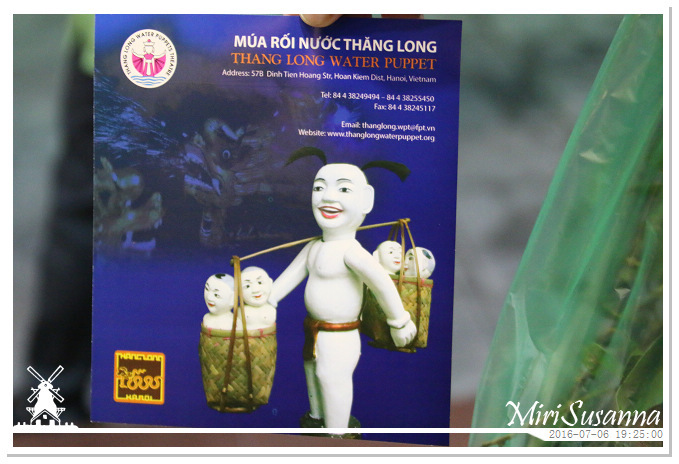 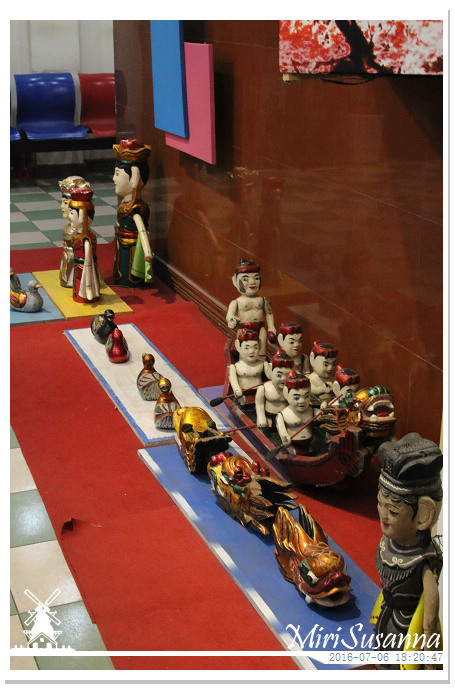 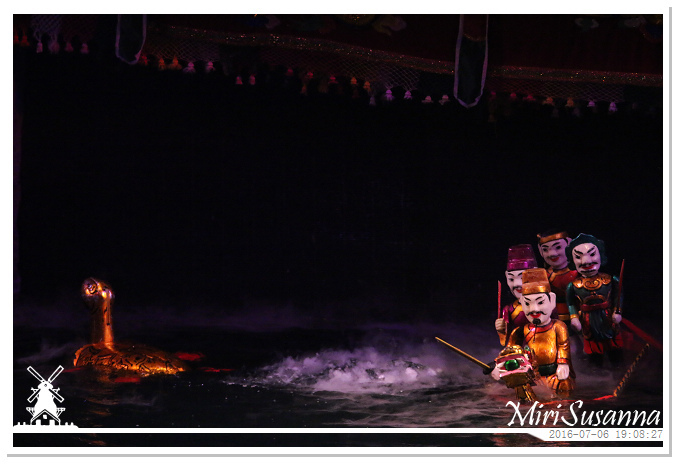 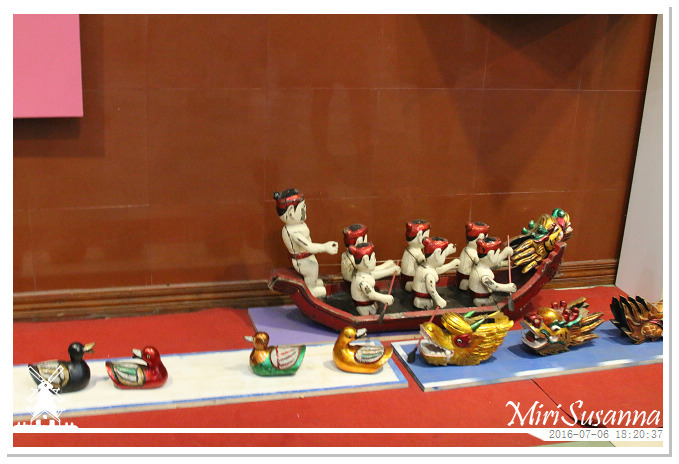 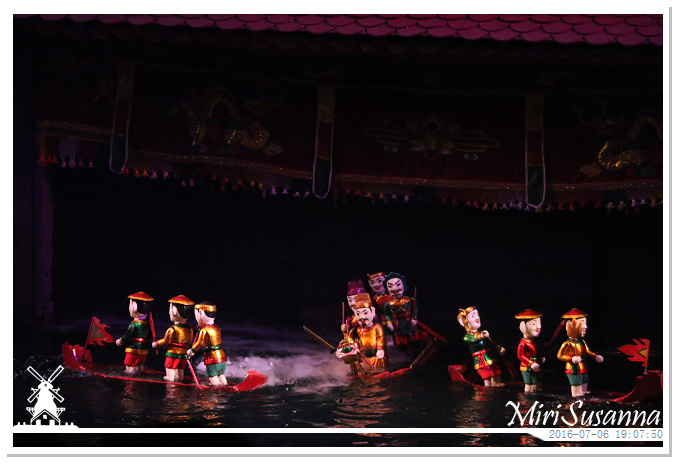 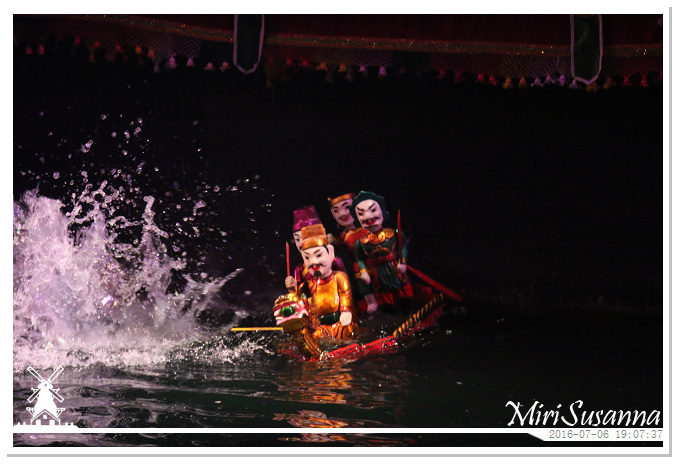 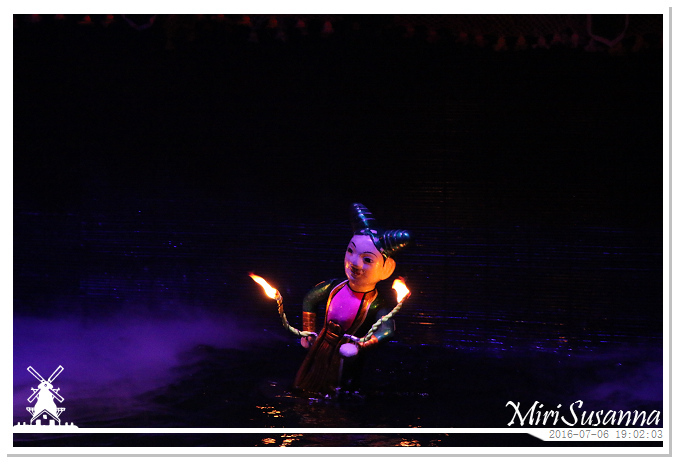 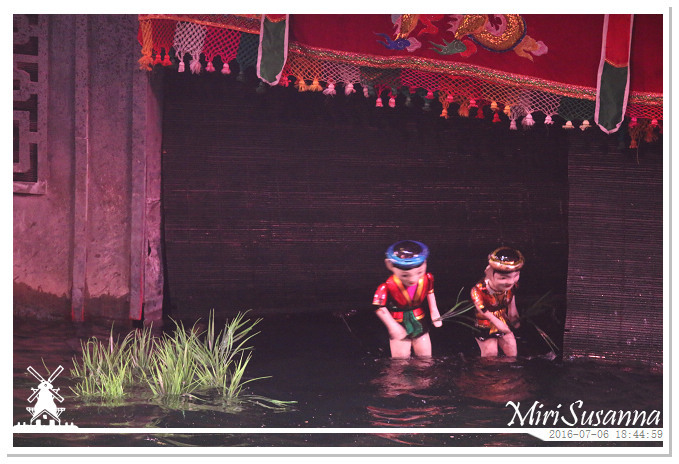 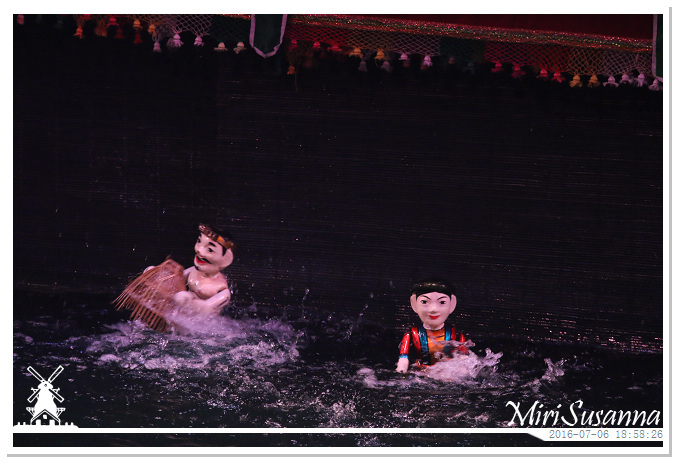 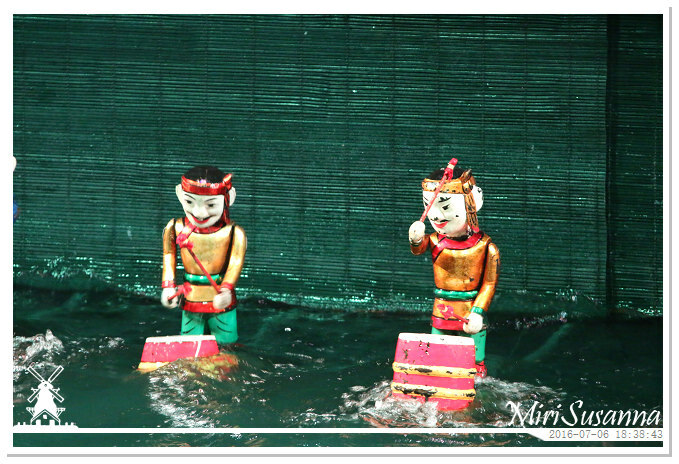 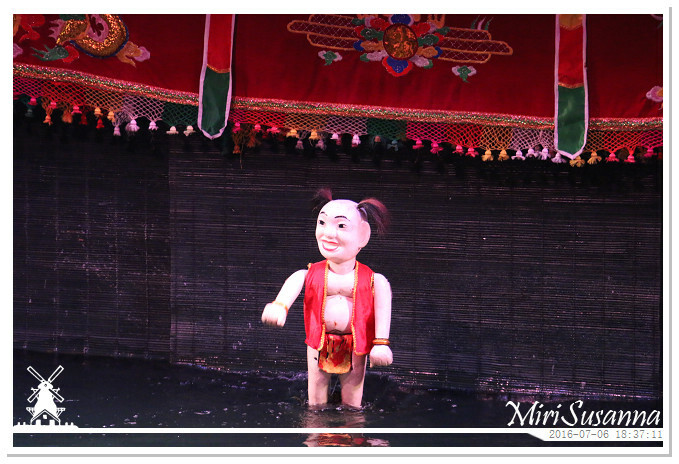 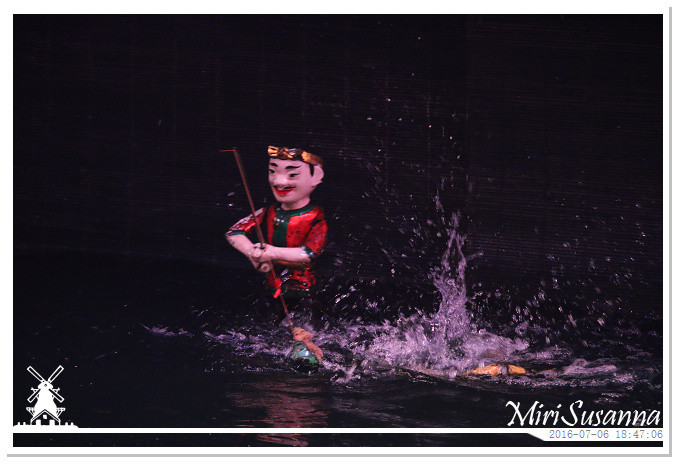 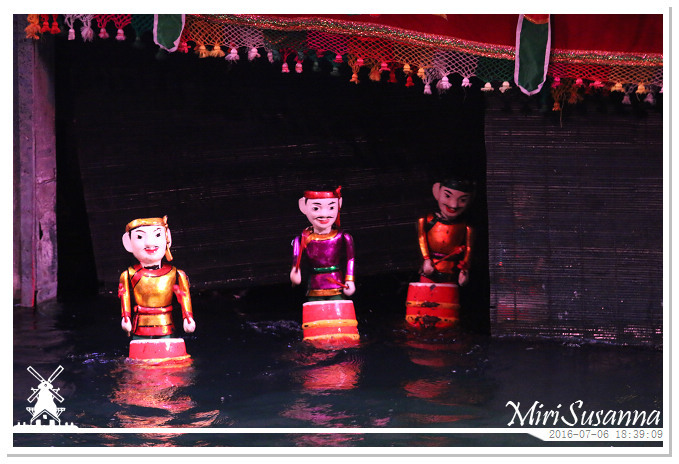 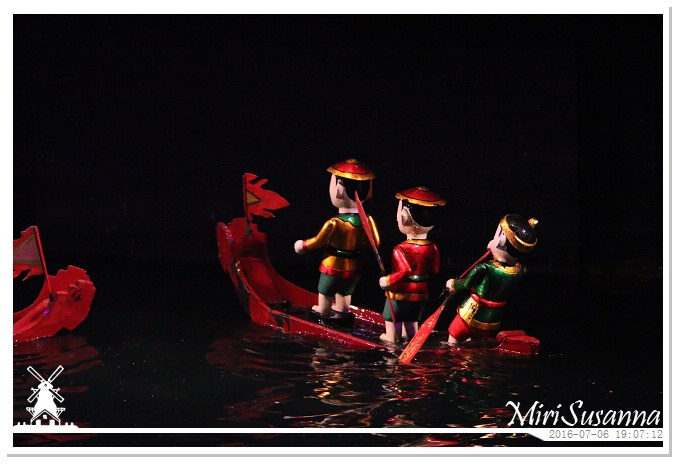 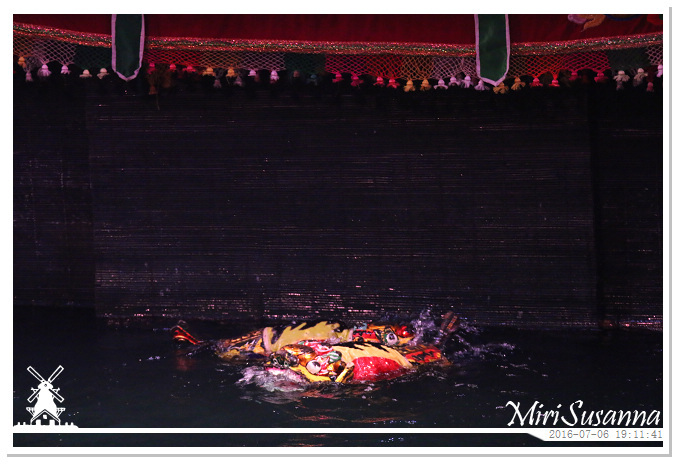 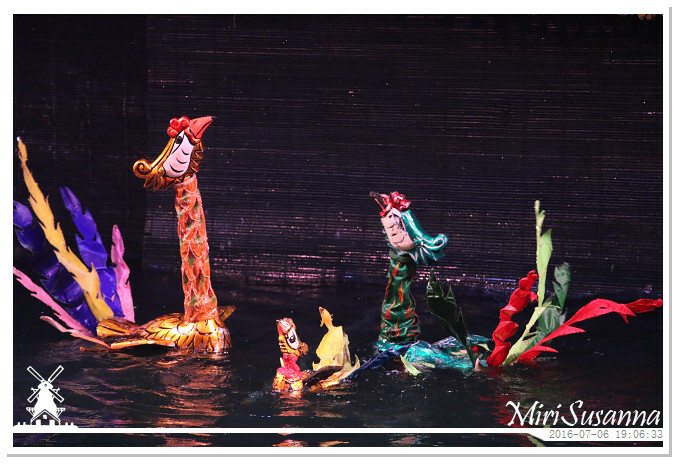 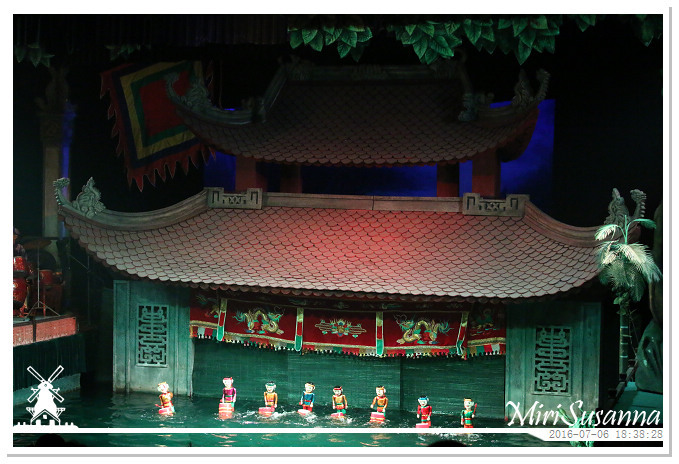 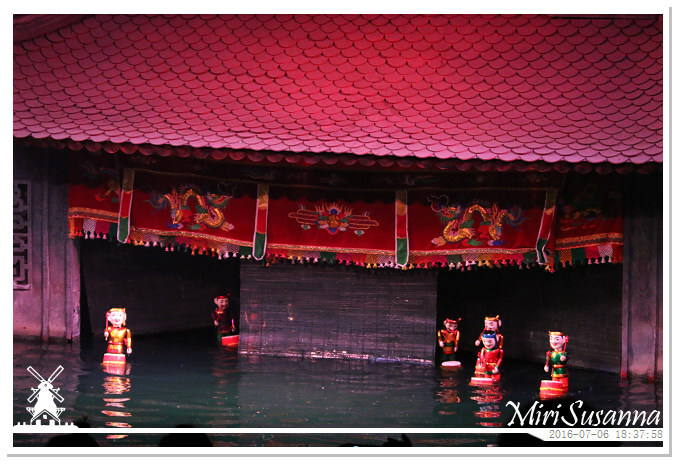 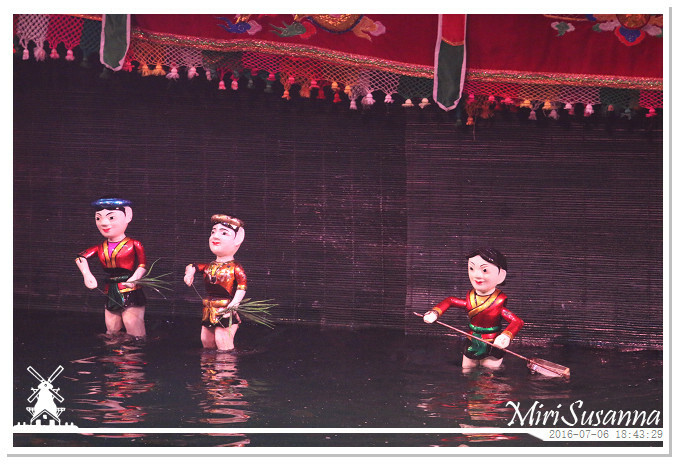 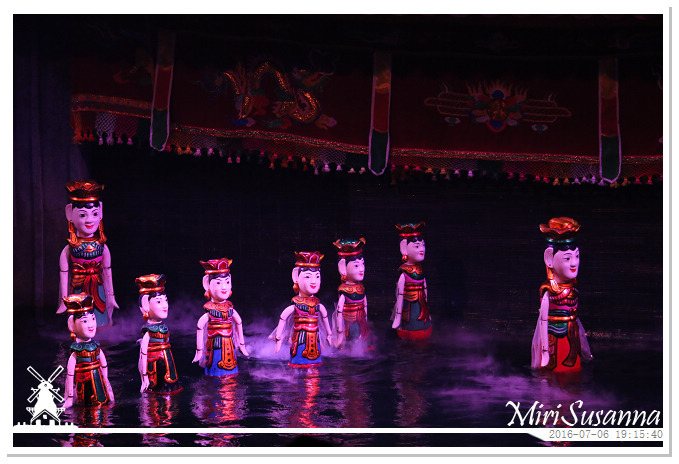 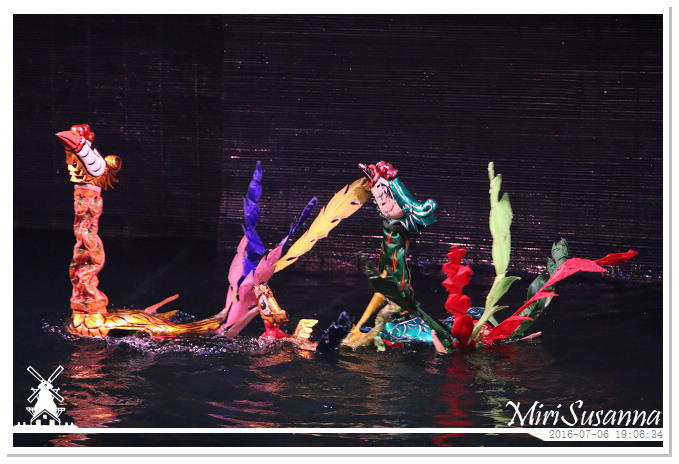 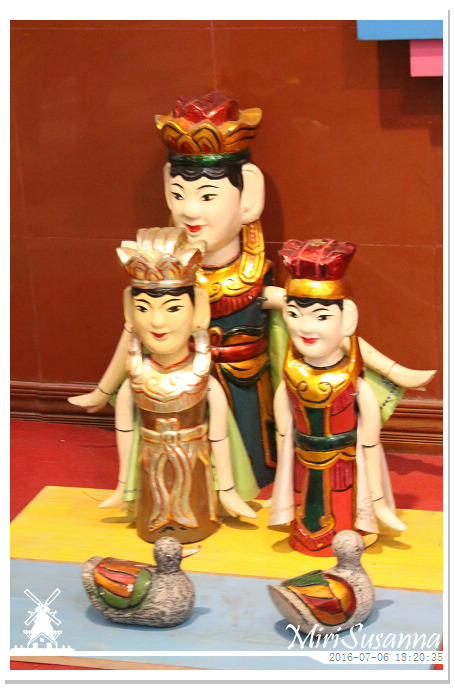 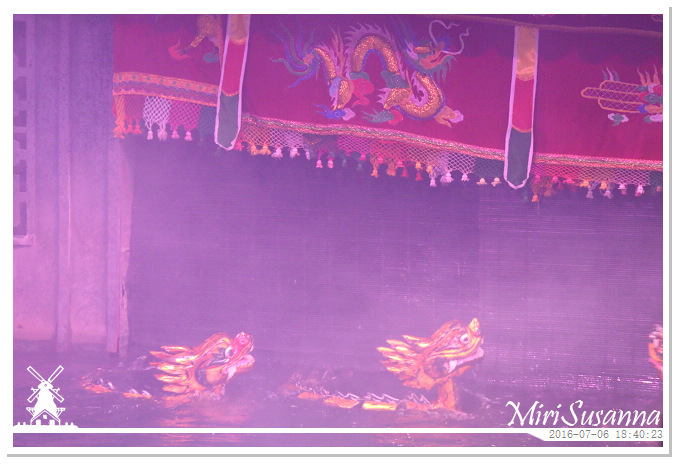 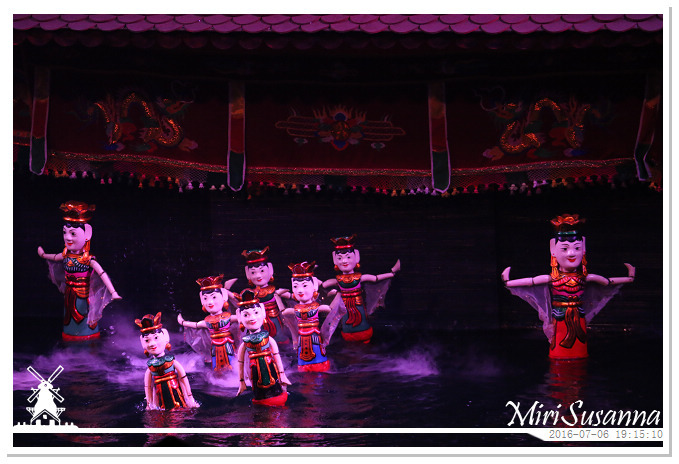 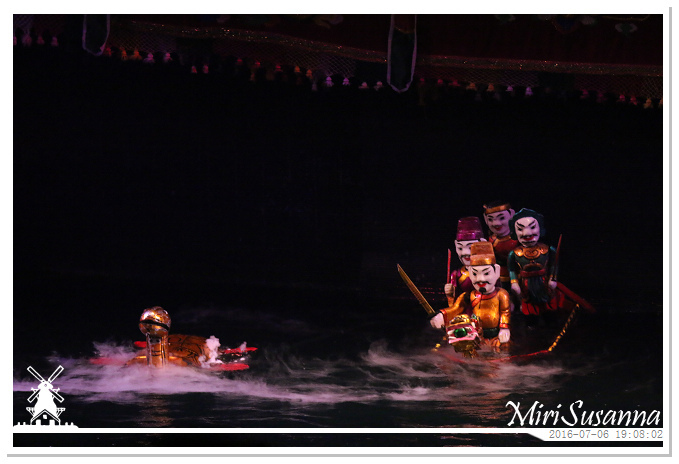 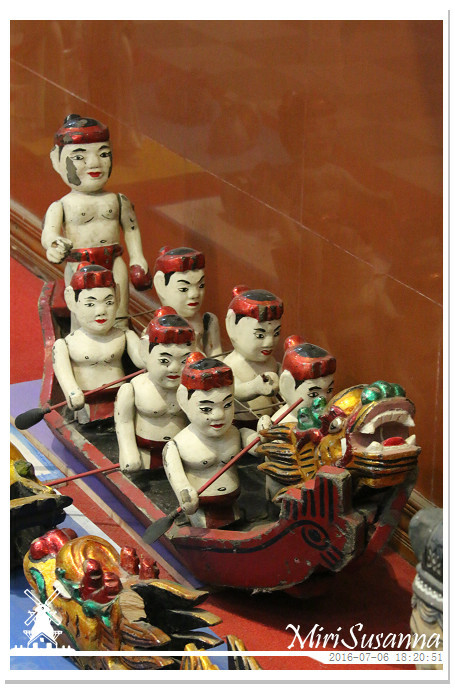 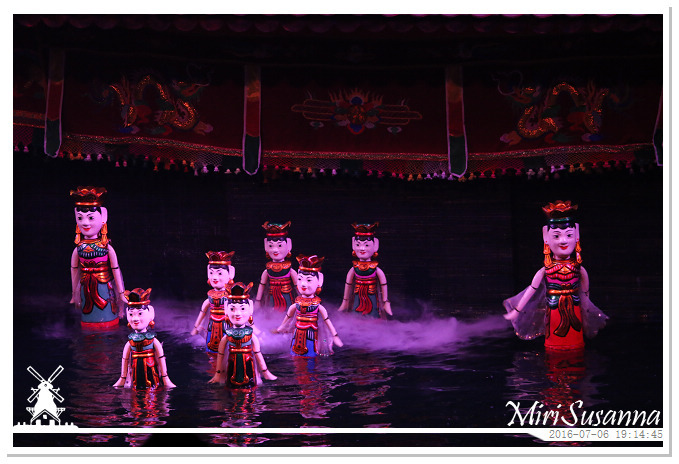 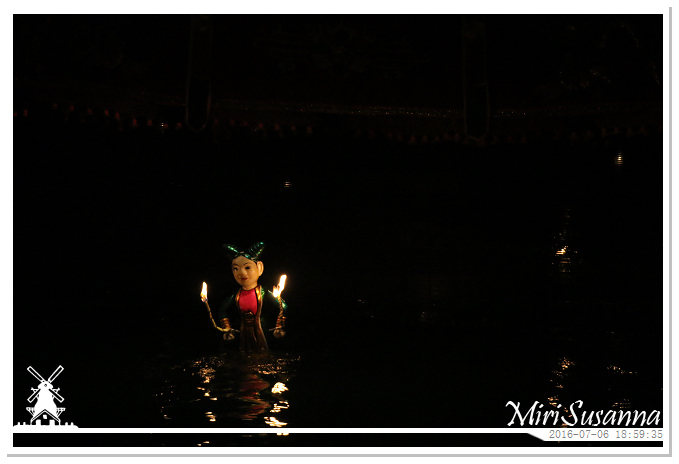 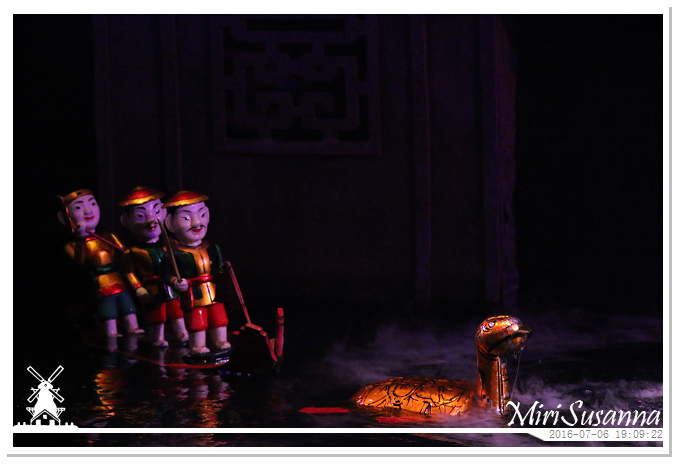 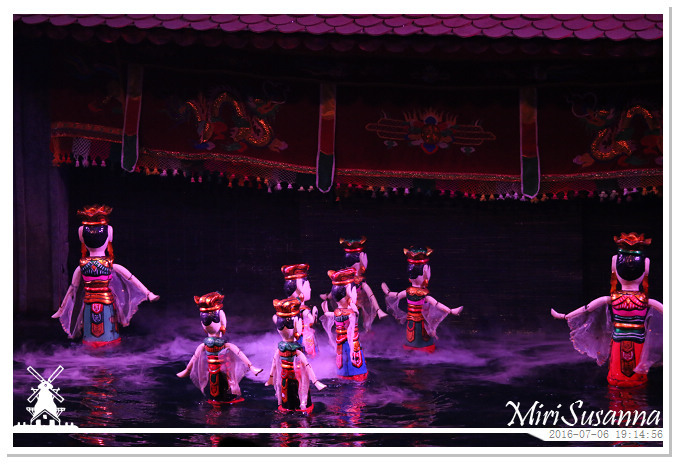 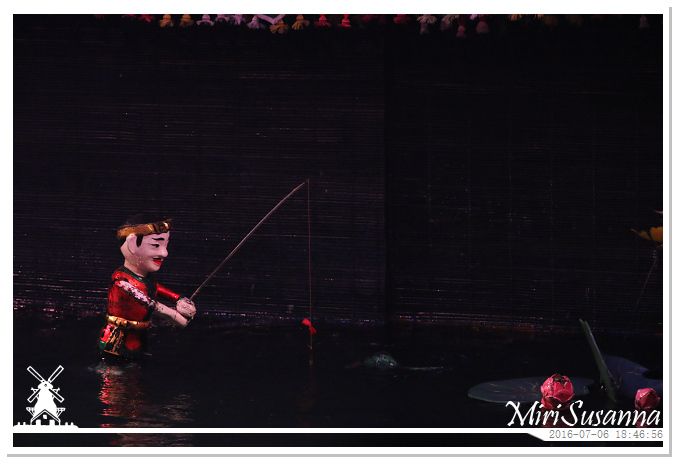 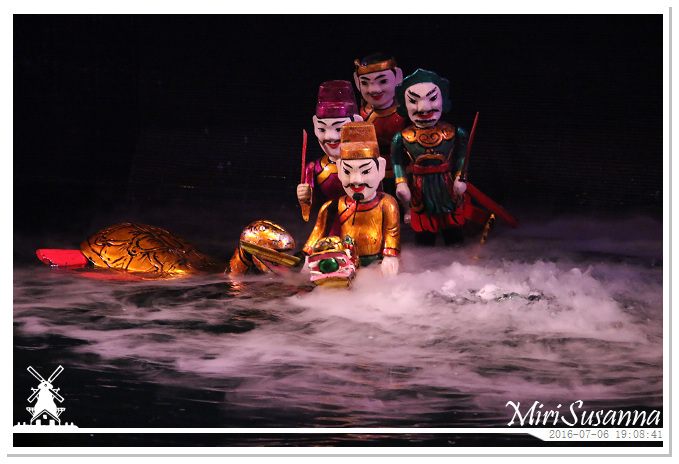 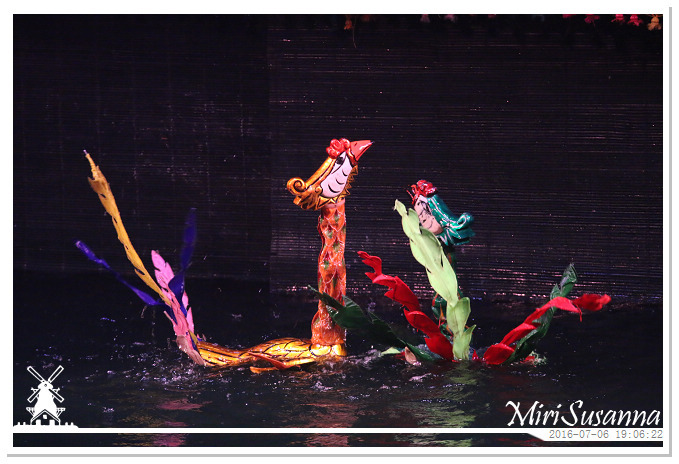 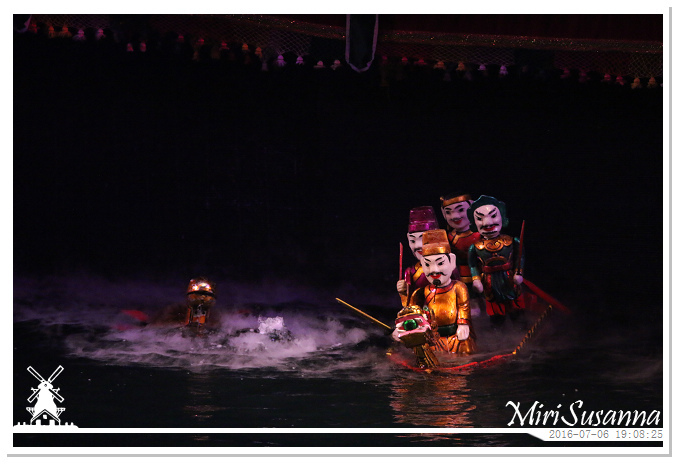 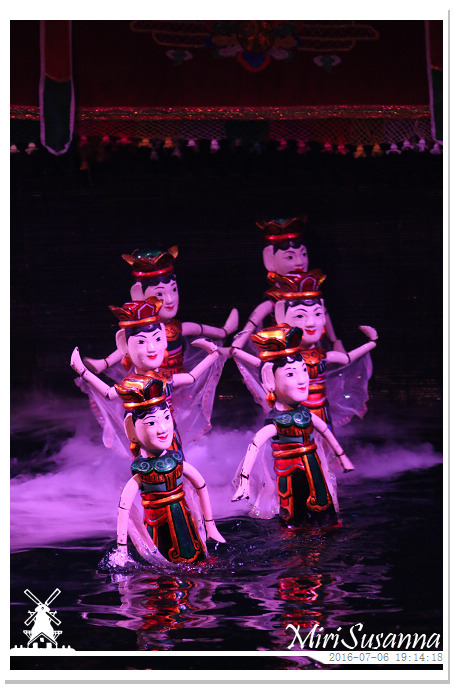 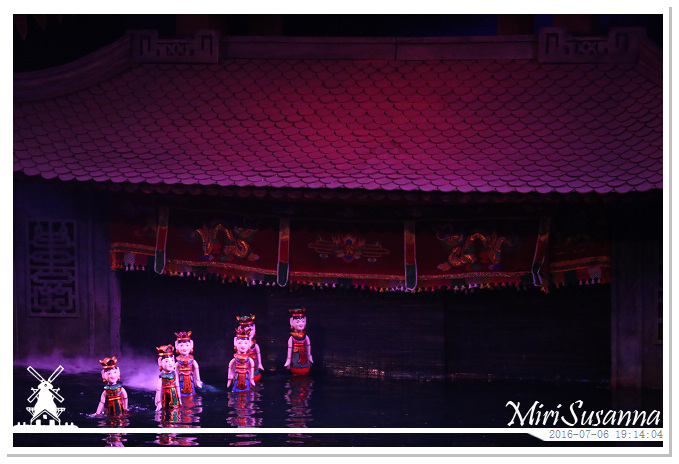 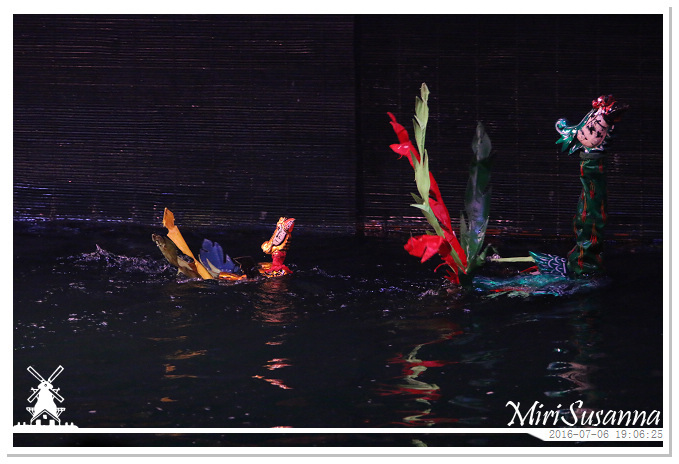 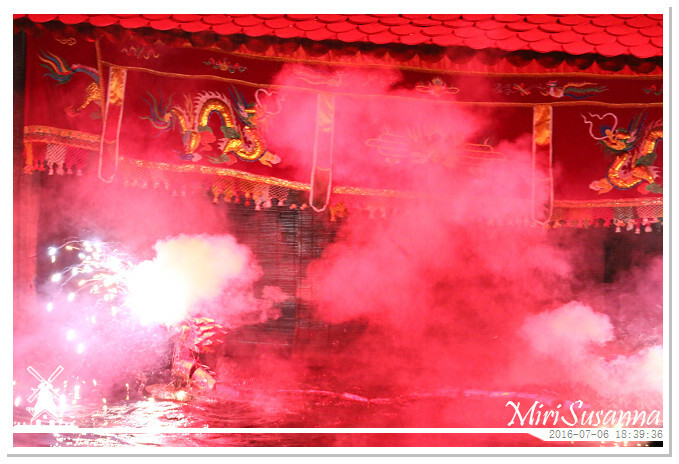 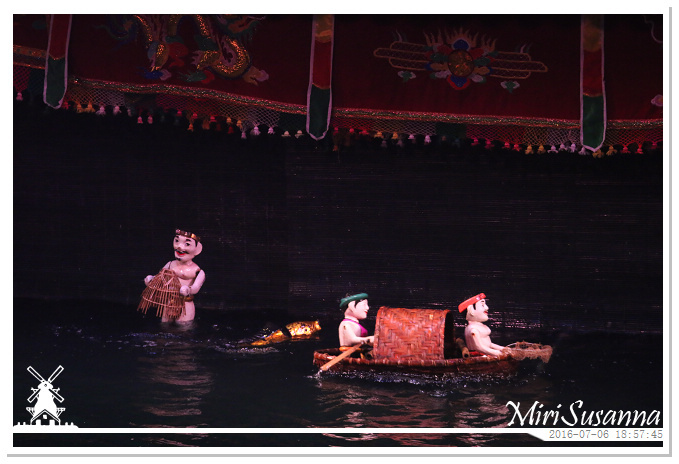 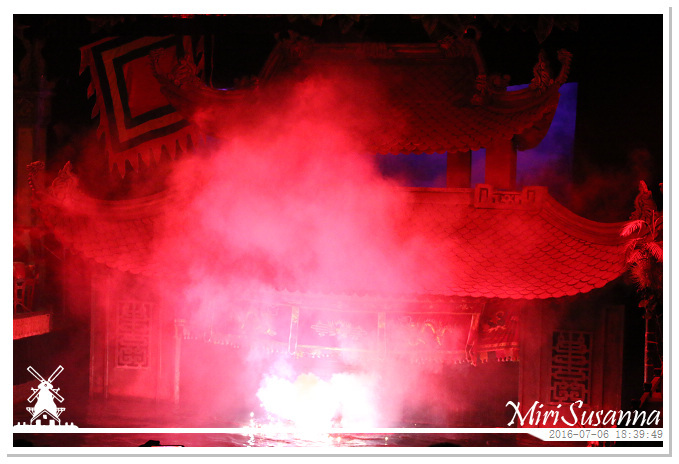 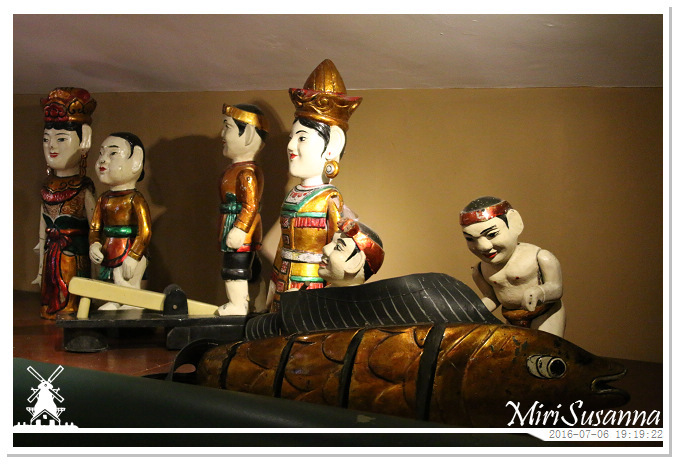 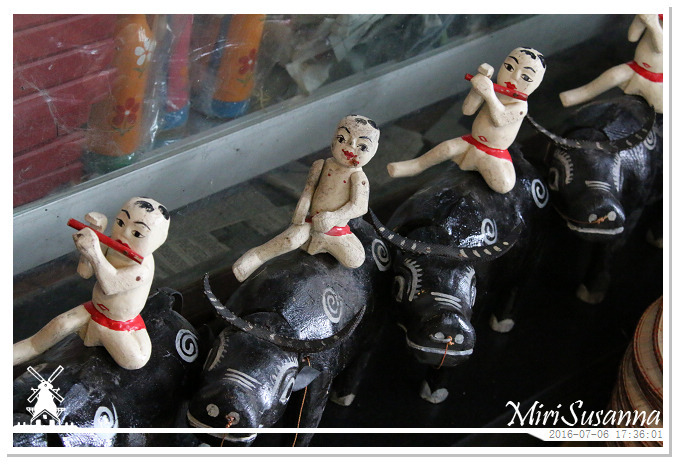 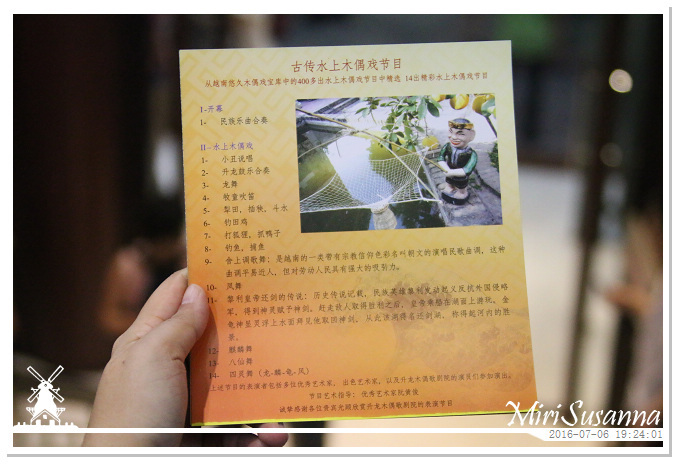 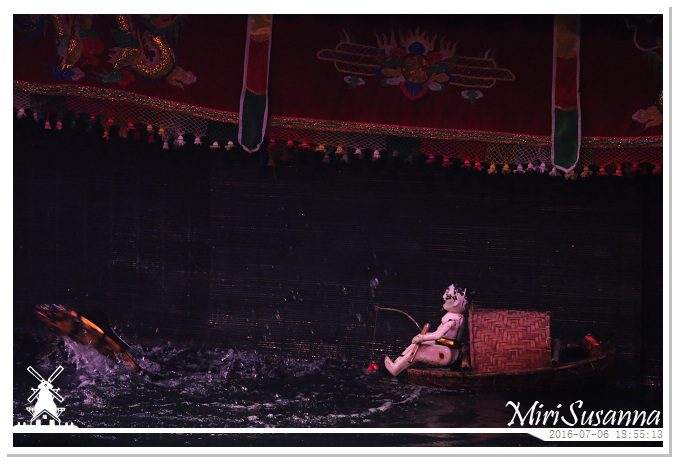 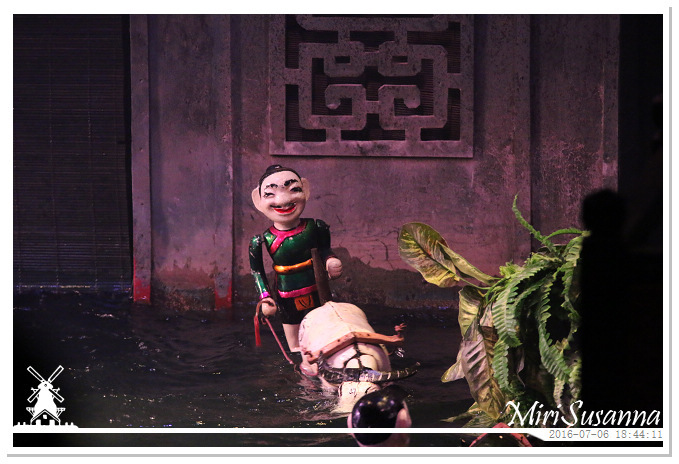 [EN]Vietnamese water puppetry (Vietnamese: Múa rối nước) is a tradition with almost thousand years history. 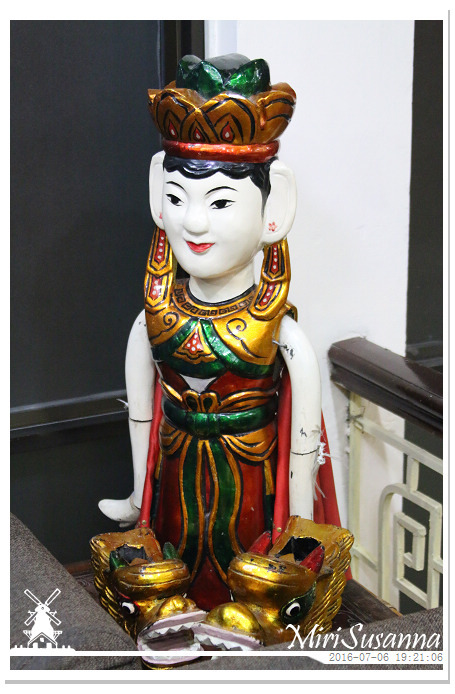 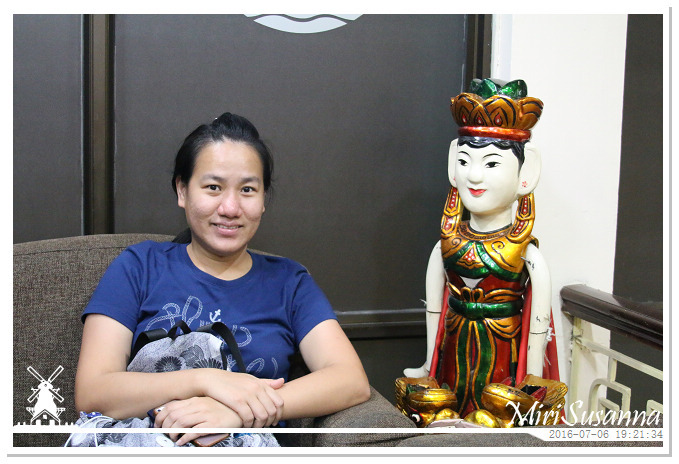 Today, it is a unique variation on the ancient Asian puppet tradition. 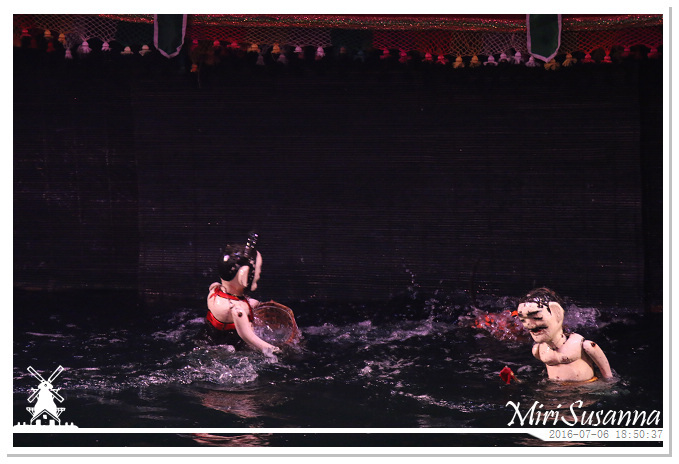 The shows are performed in a waist-deep pool. 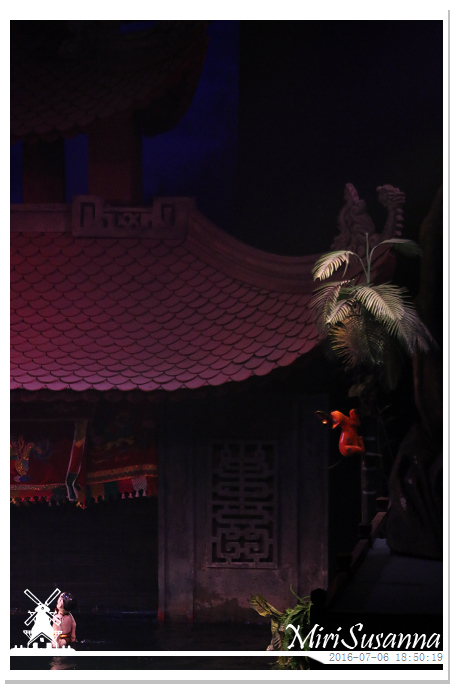 The woorden puppets are controlled by the puppeteers hidden behind a screen. 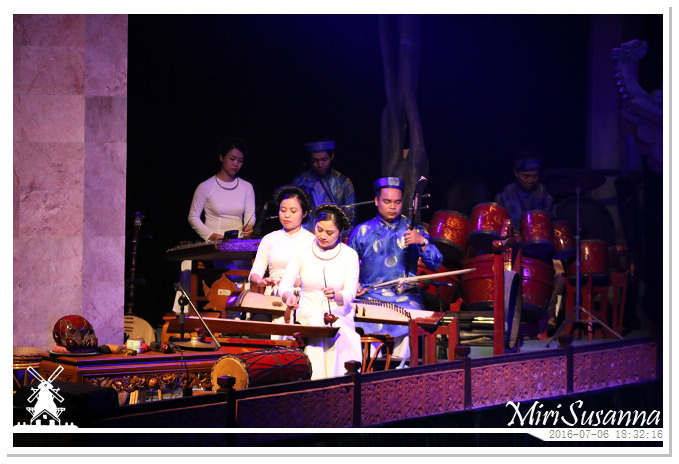 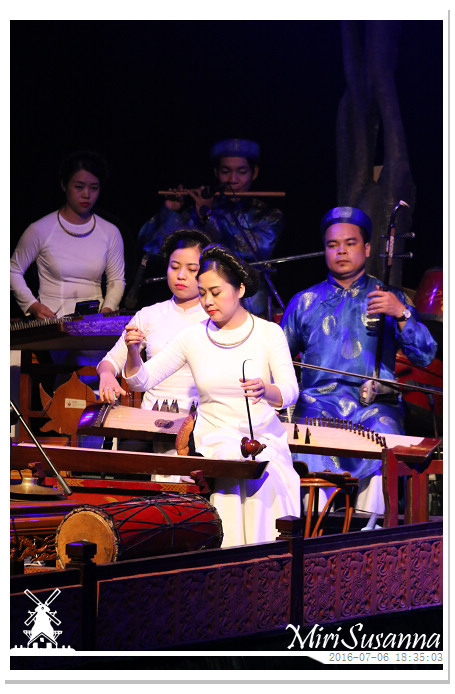 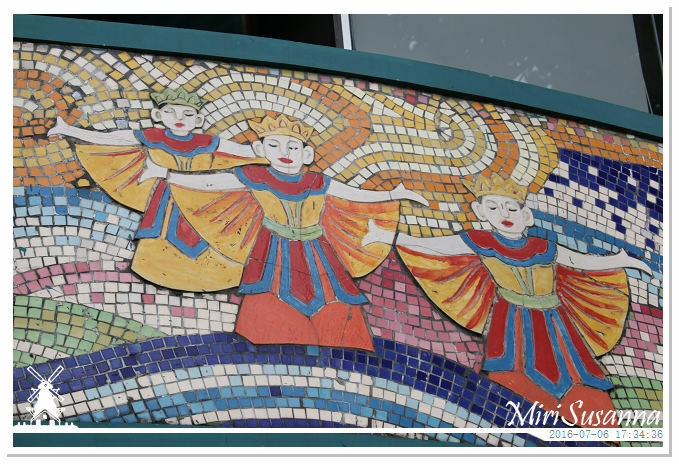 The theme has a strong reference to Vietnamese folklore, telling of daily living in rural Vietnam and Vietnamese folk tales (more details: wikipedia). 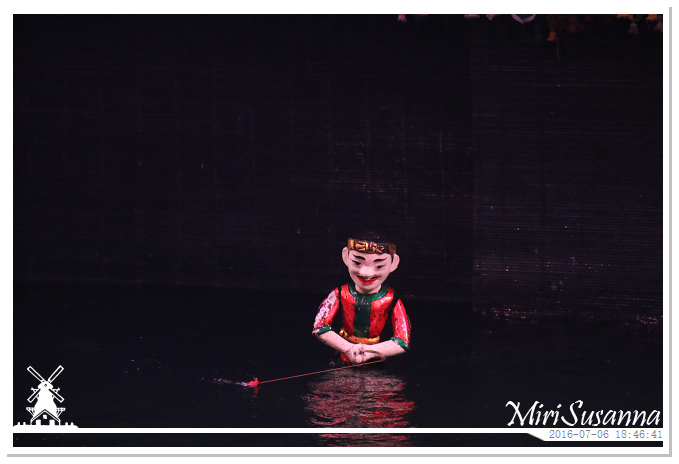 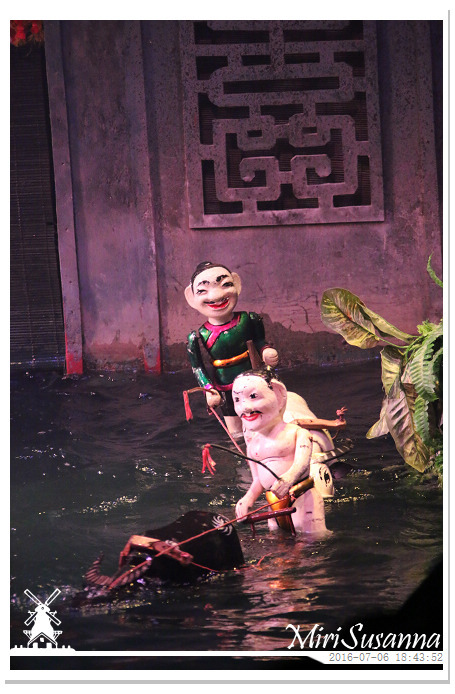 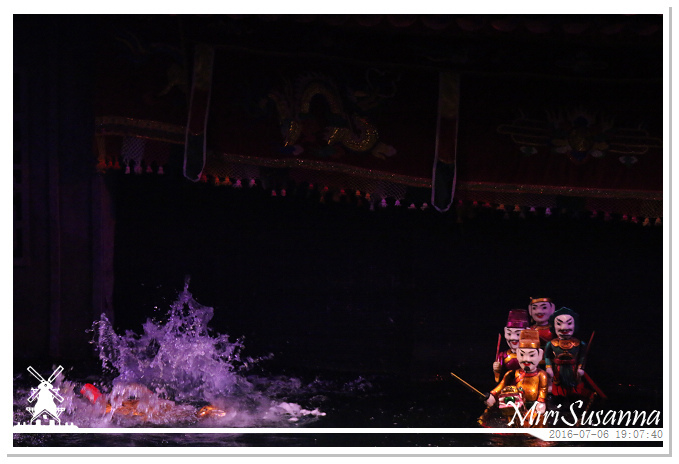 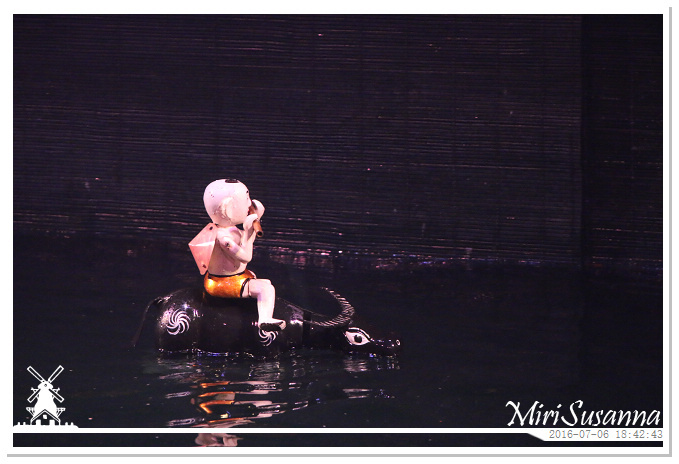 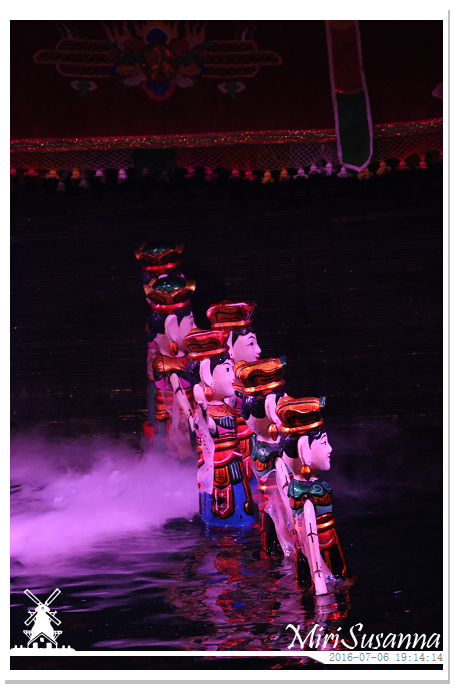 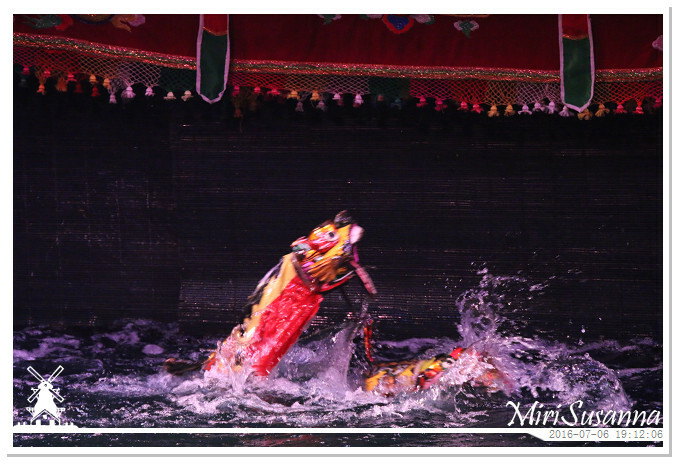 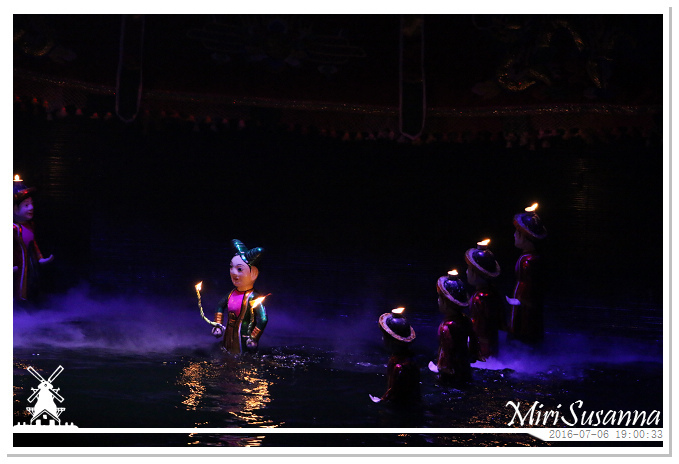 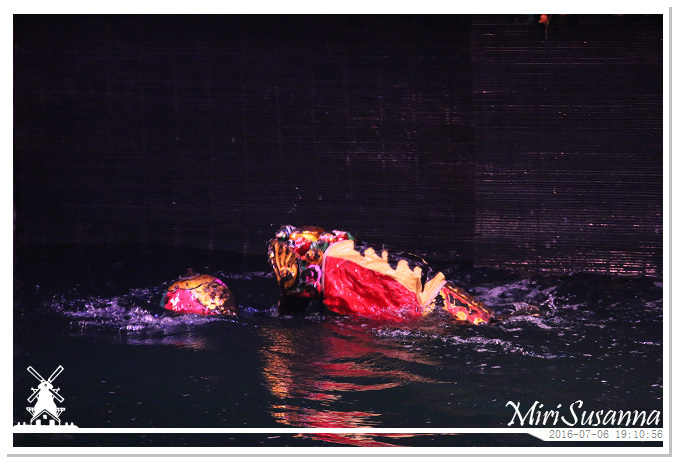 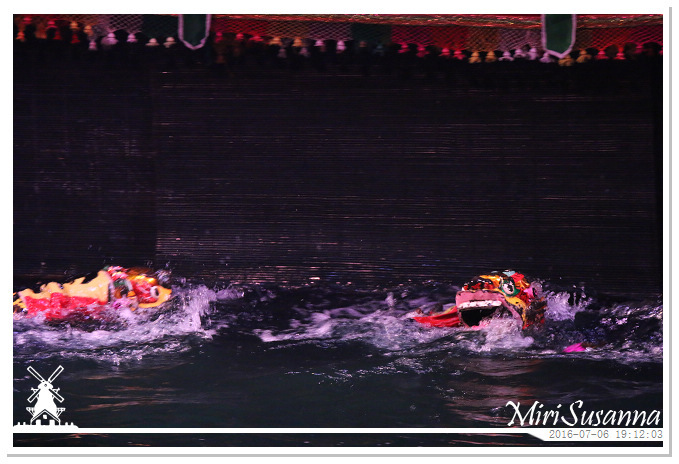 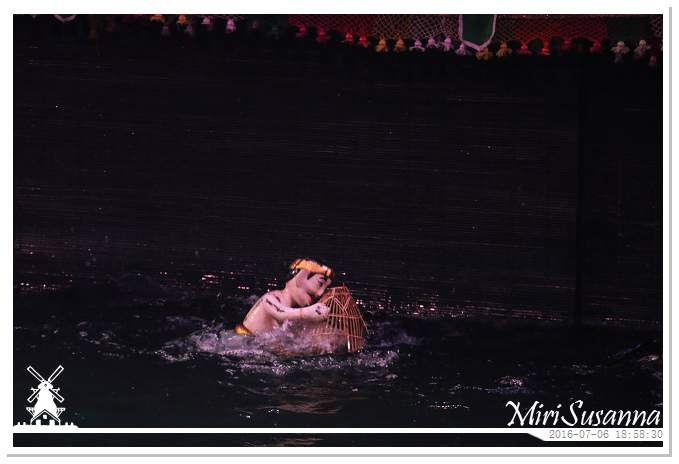 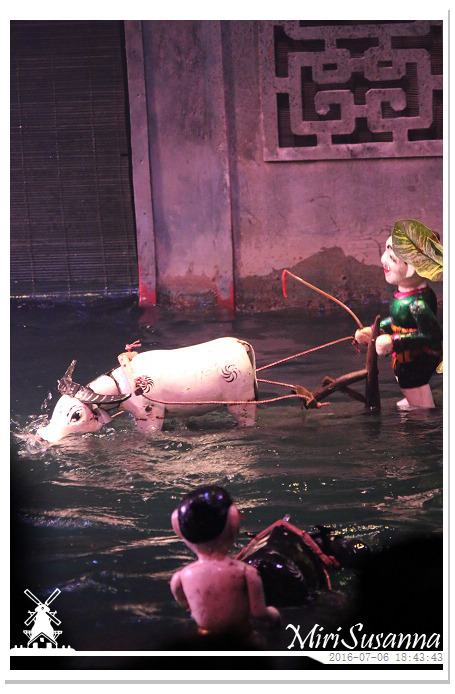 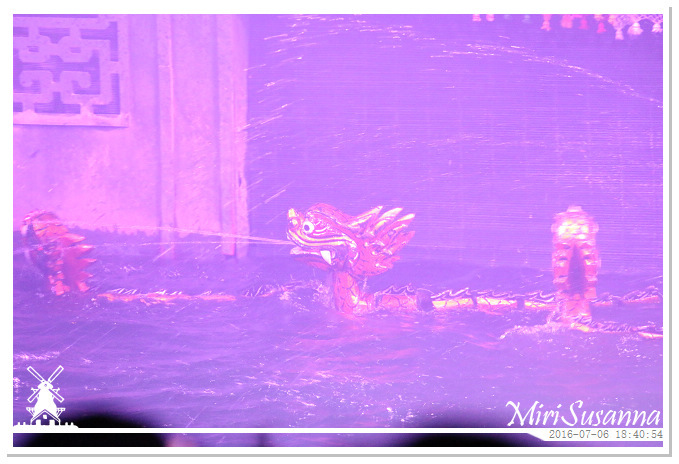 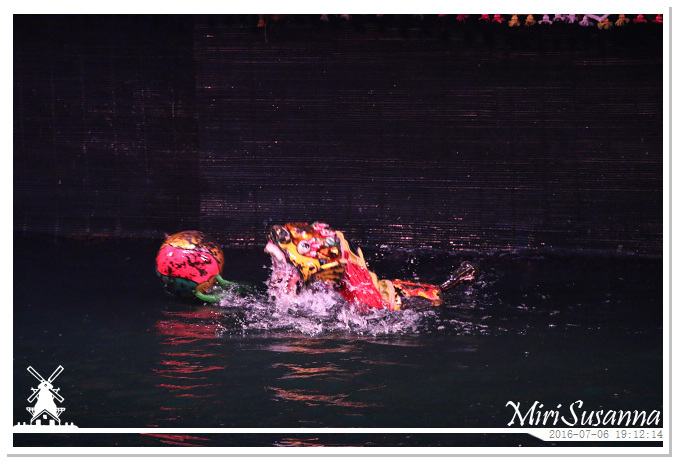 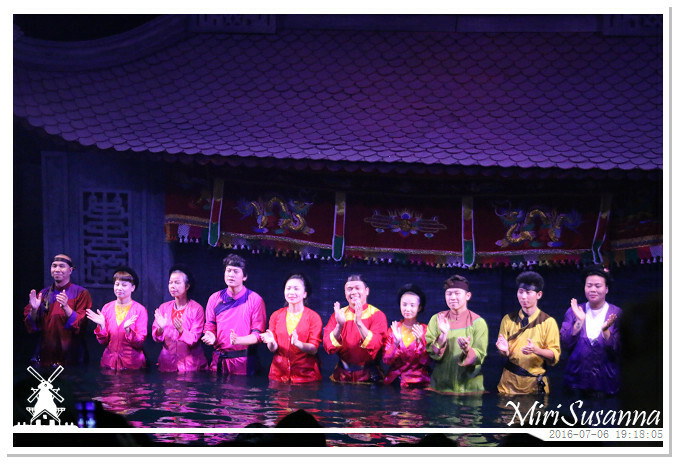 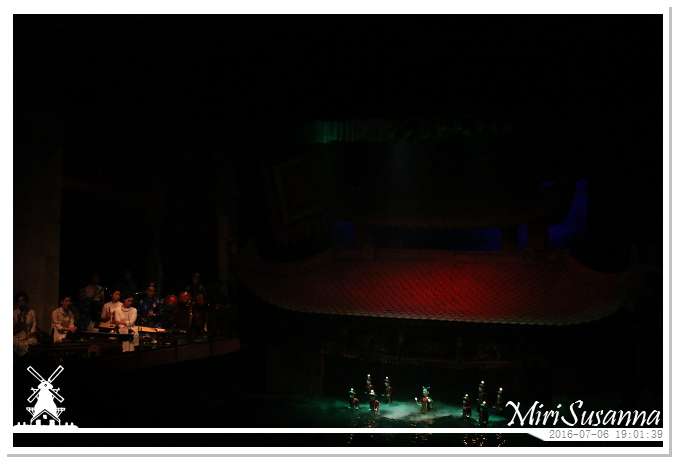 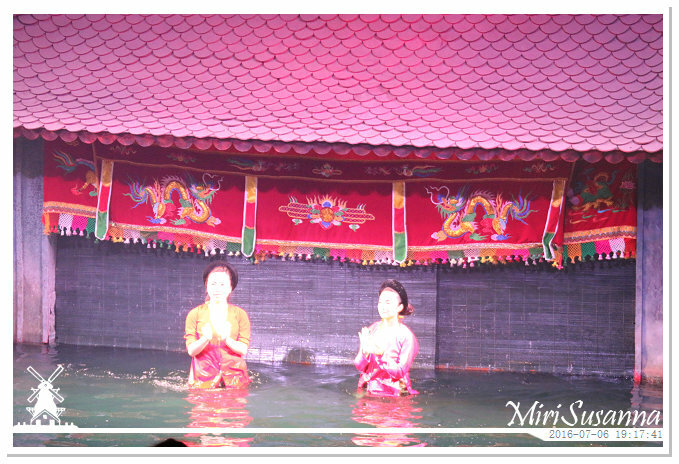 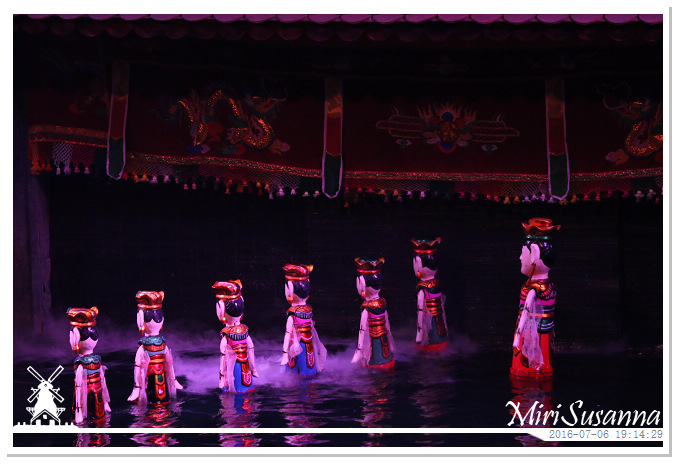 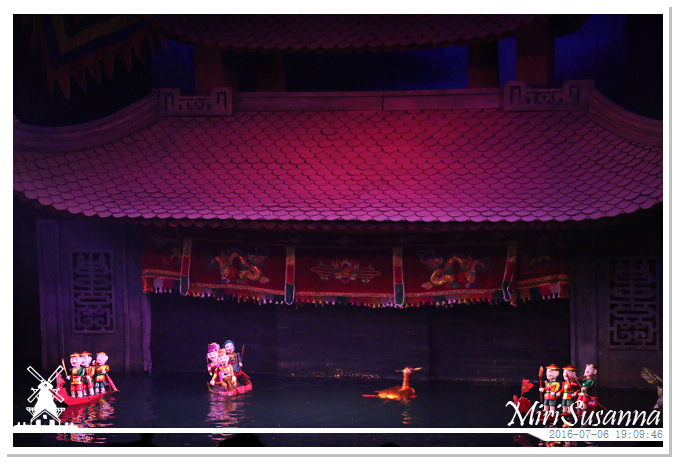 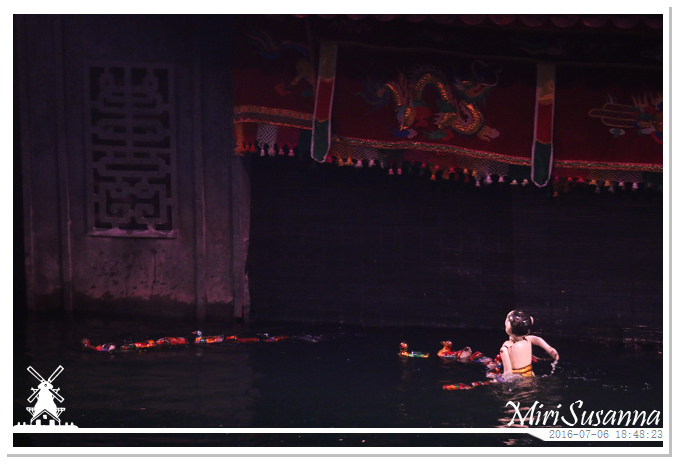 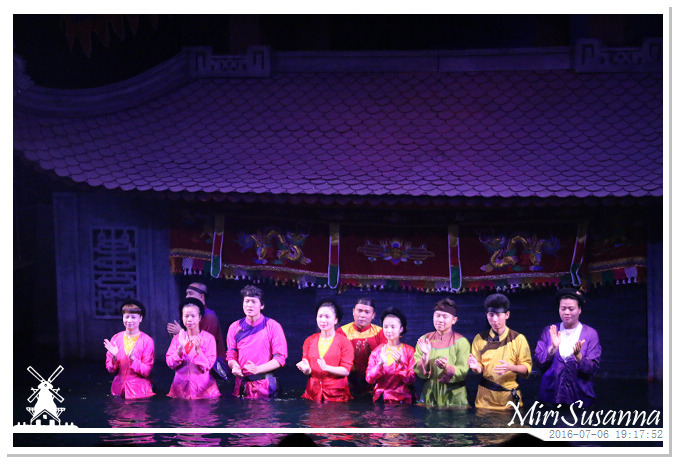 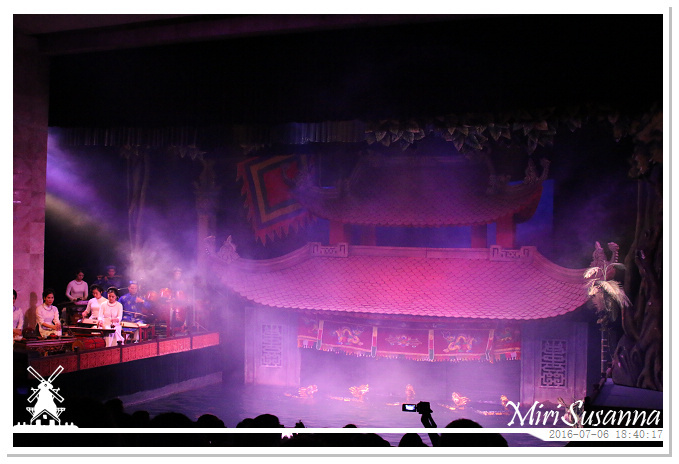 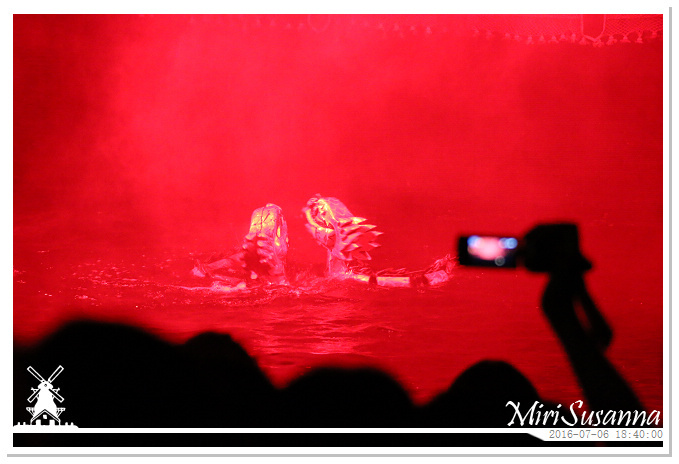 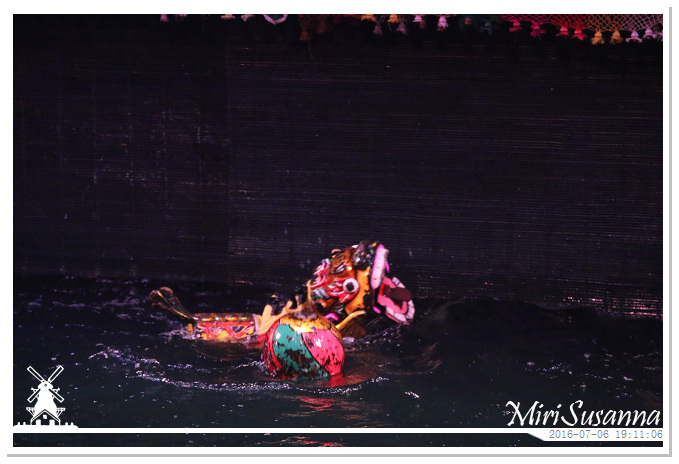 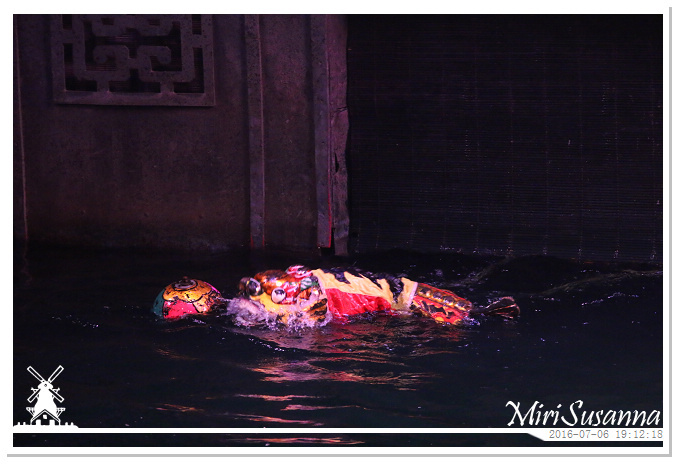 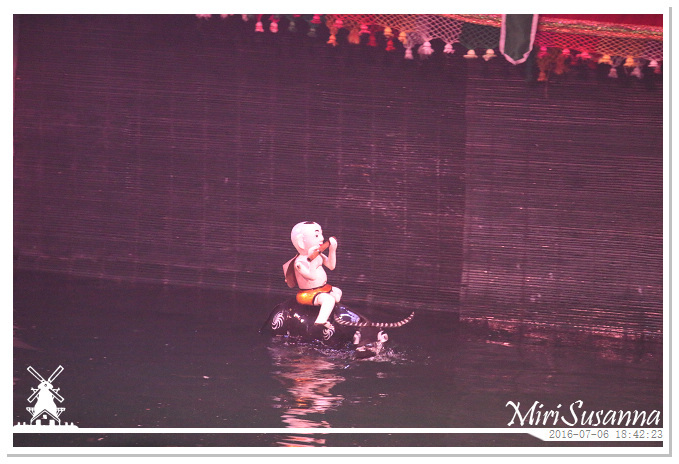 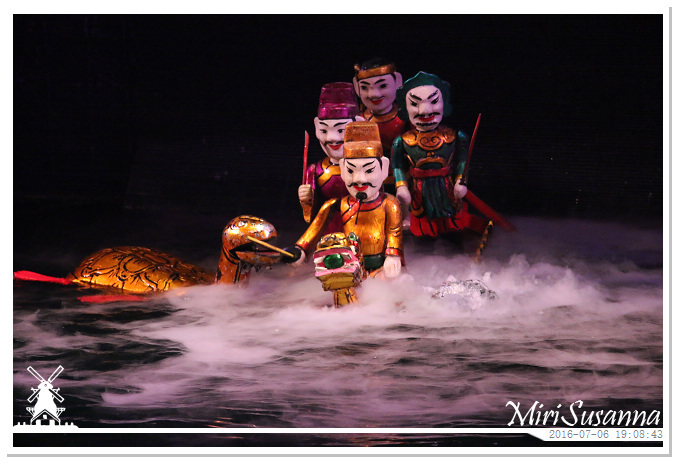 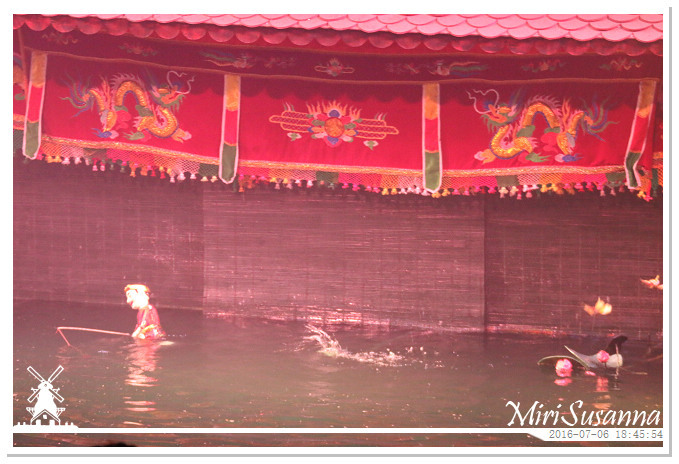 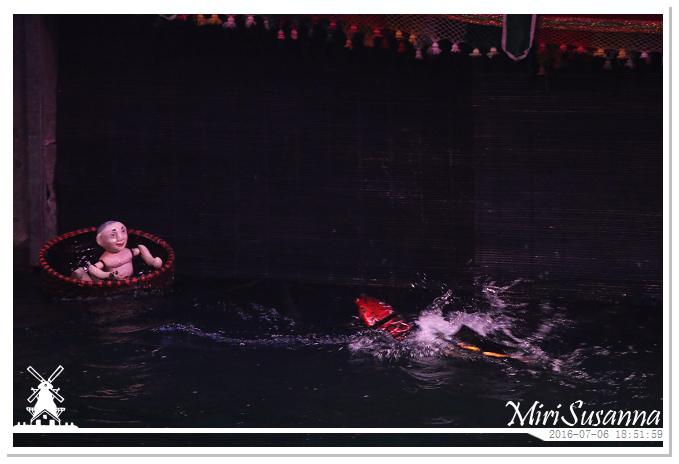 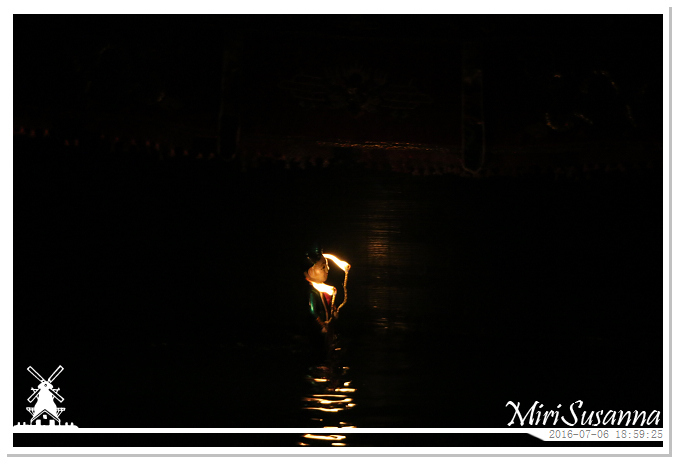 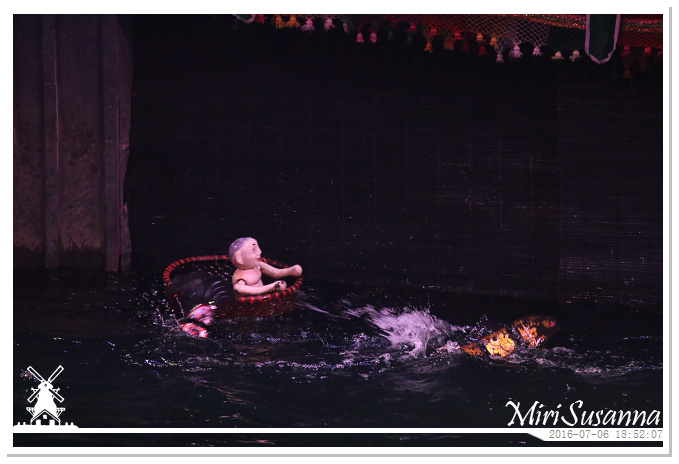 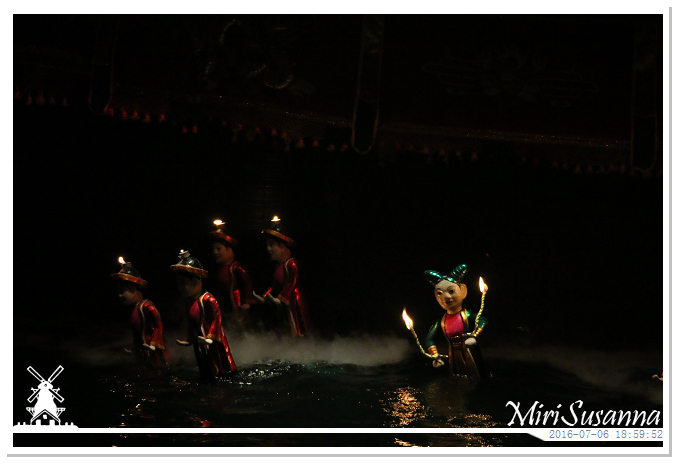 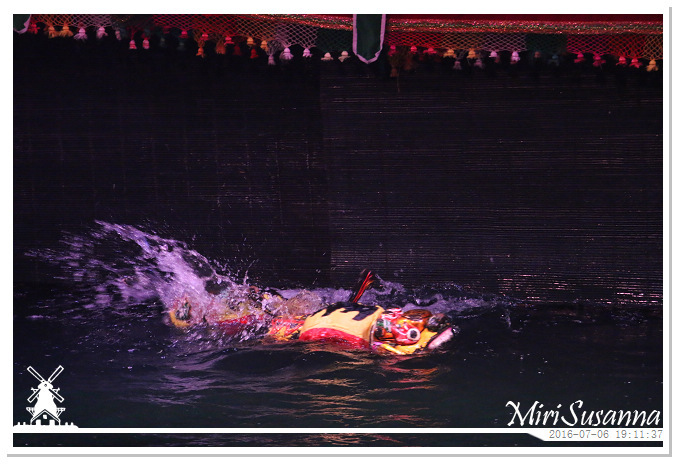 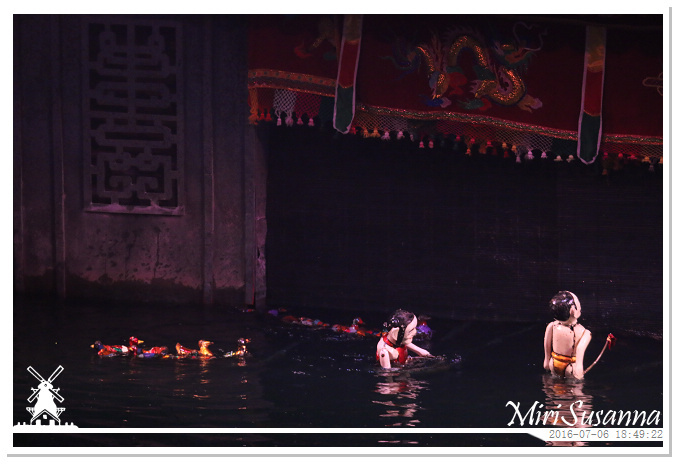 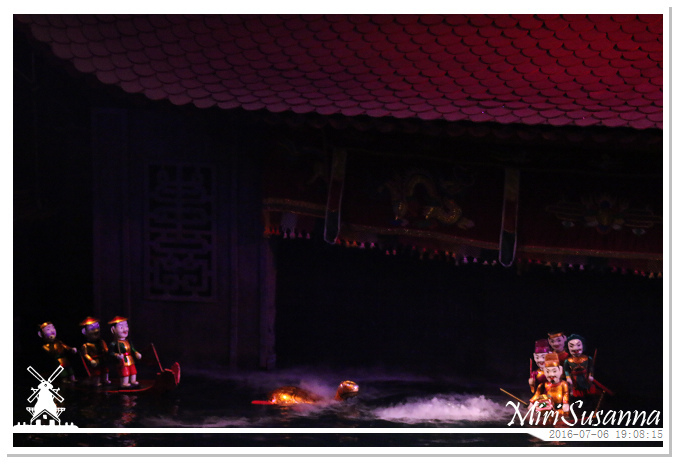 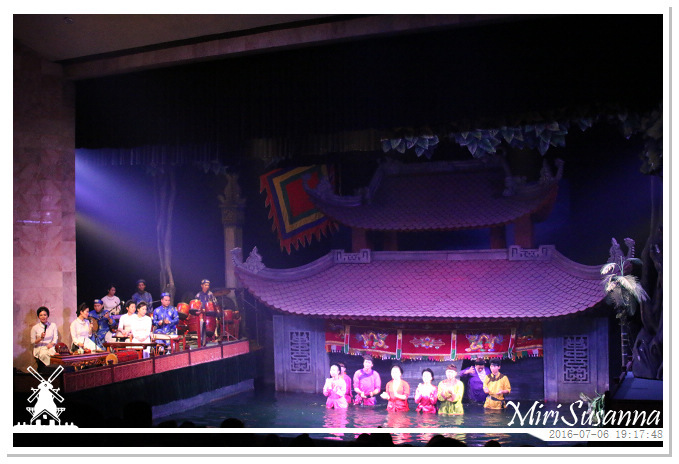 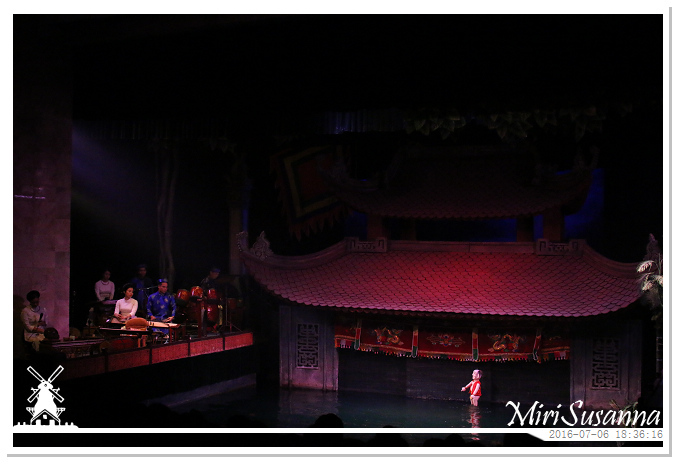 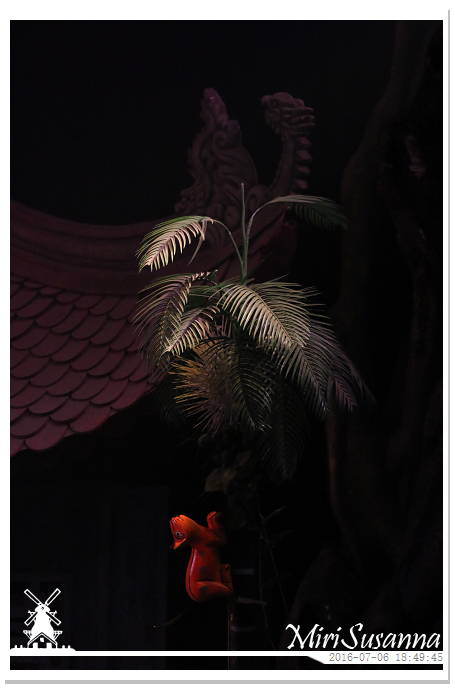 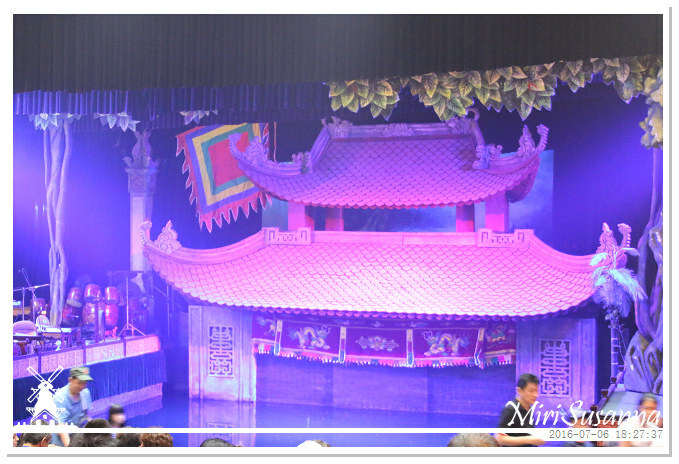 Since we were in Vietnam, we have taken the opportunity to watch this traditional water puppertry at Thang Long Water Puppet Theather (Official website). 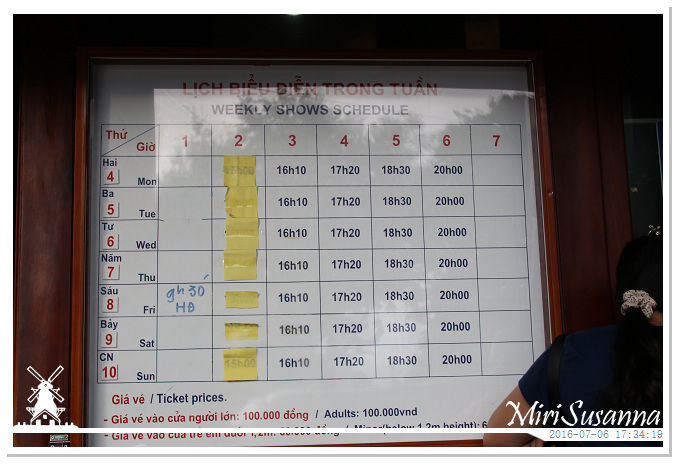 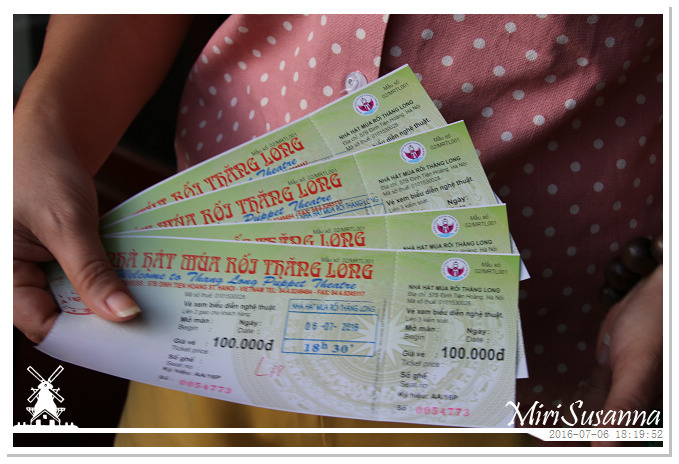 The ticket was 100.000 VND (about 4 Euro, or 18 Ringgit) per person, and the duration of the show was 45 minutes. 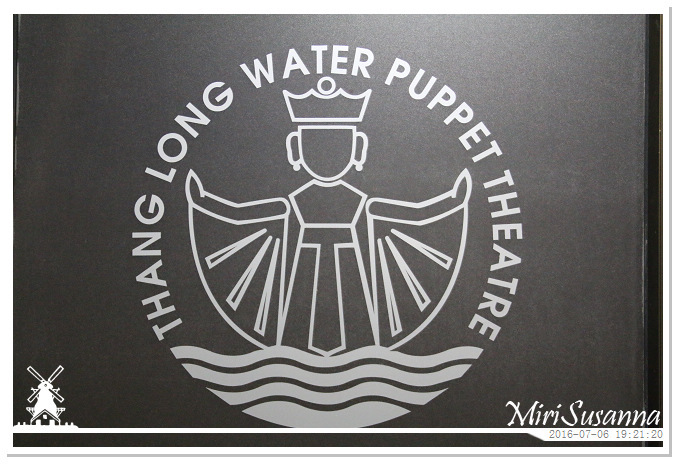 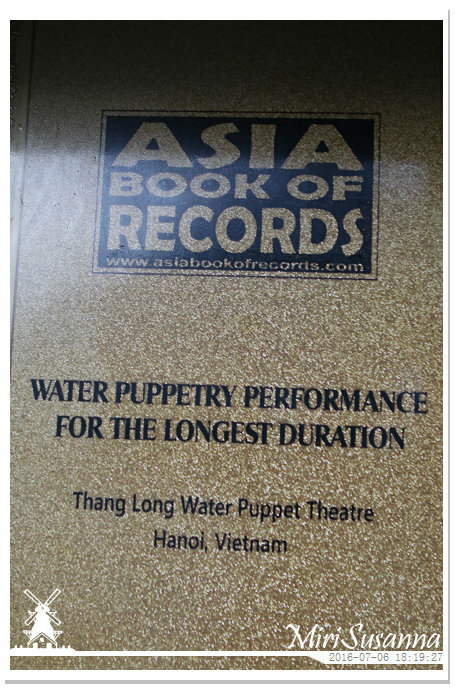 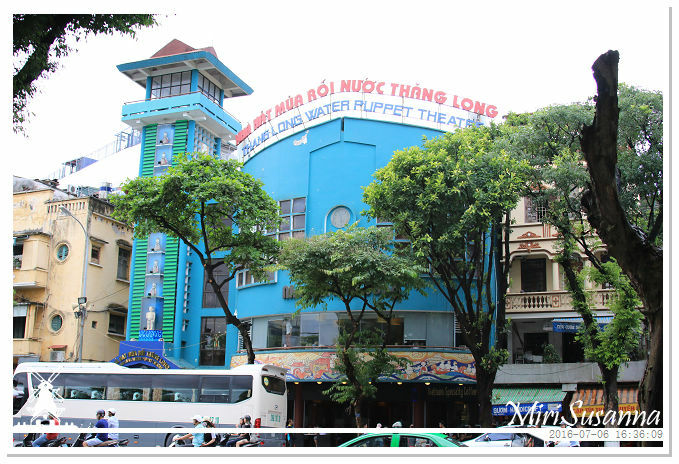 Thang Long Water Puppet Theather. 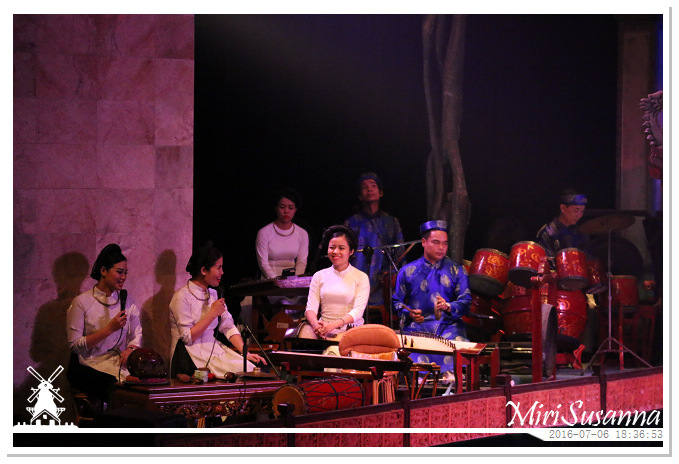 Opening with traditional Vietnamese music. 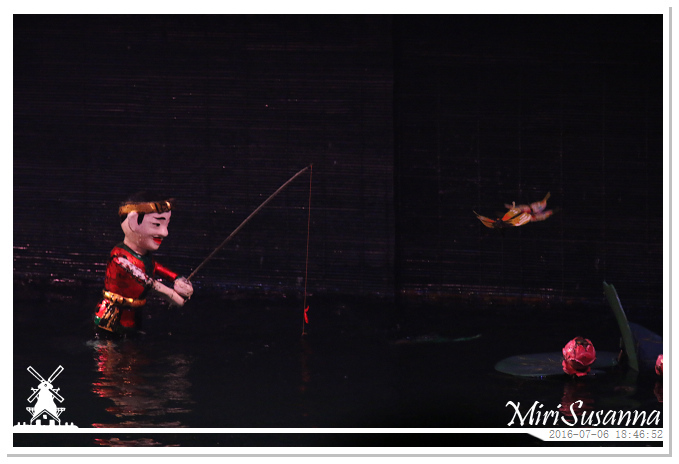 Showing different ways to fish. 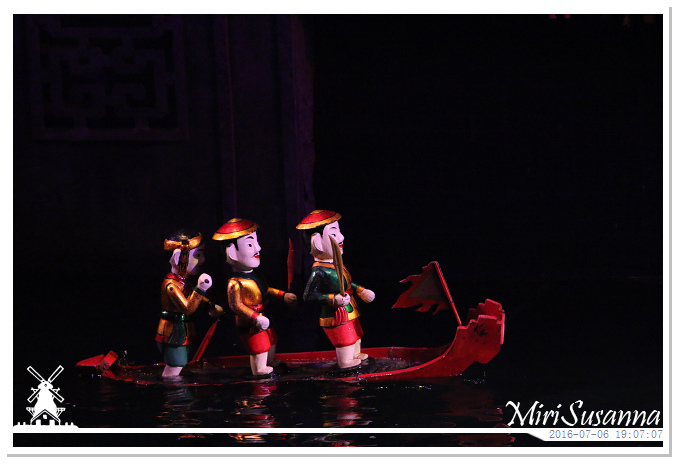 Legend of Sword Lake: This folk tale relates to the legend of the Sword lake. 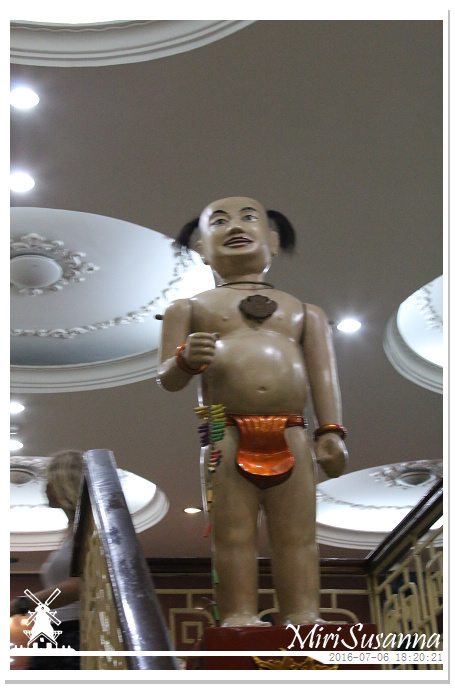 According to historical documents of Vietnam, the national hero Le Loi led the insurrection over 10 years (1418 – 1427) to gain the independence. 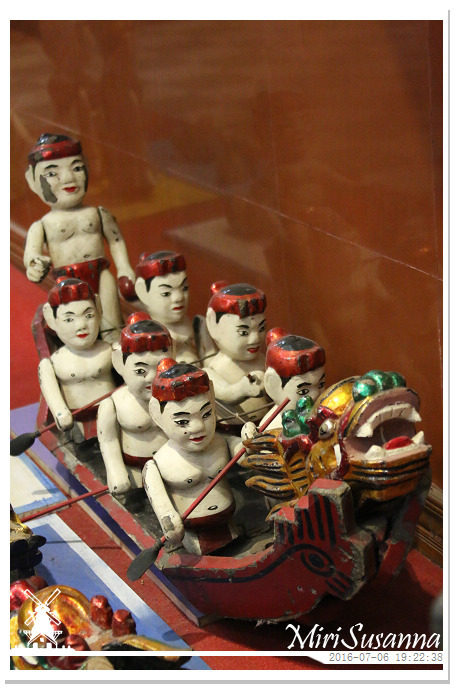 The war of resistance was extremely arduous but thanked to the precious sword given by the Golden Turtle, Le Loi gained victory and enthroned in 1428. 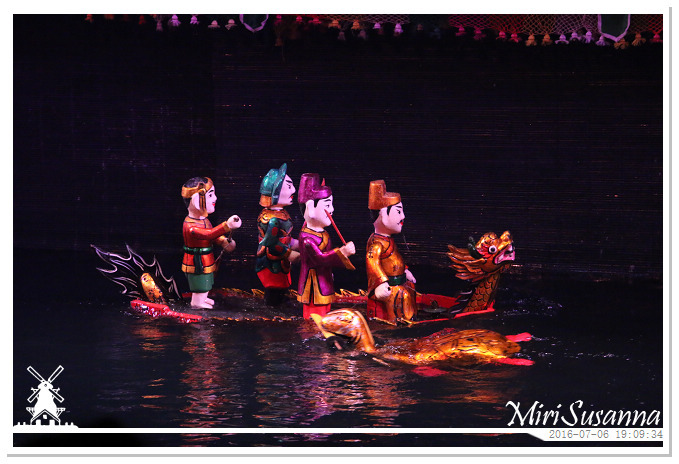 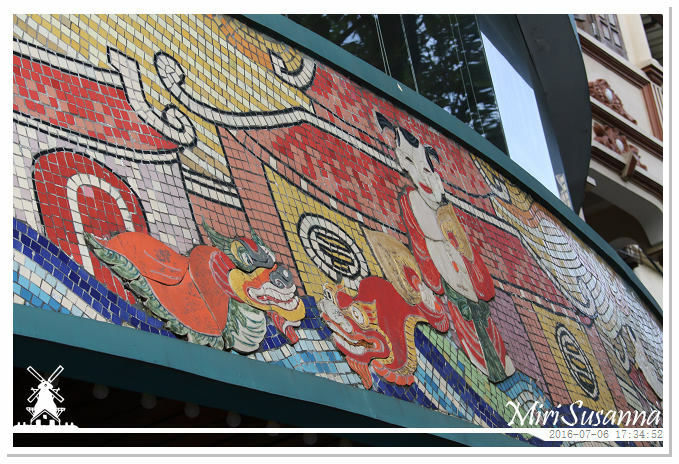 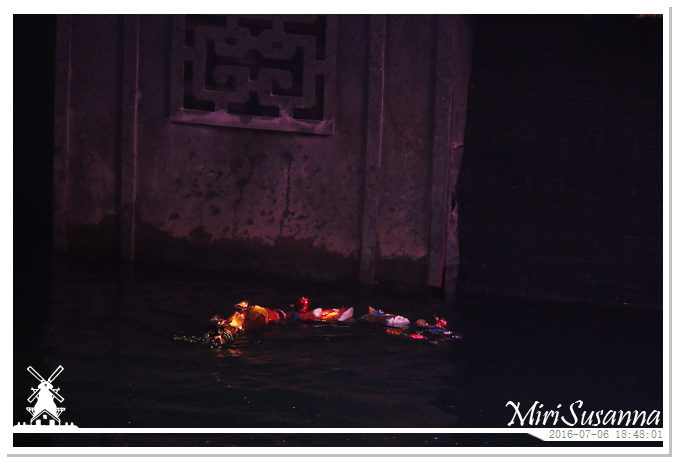 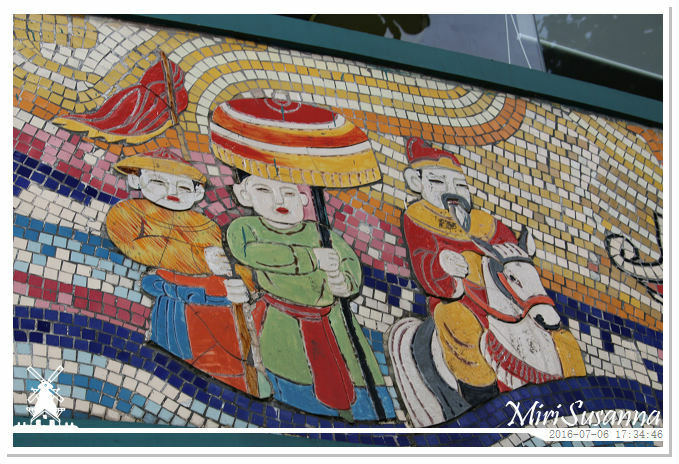 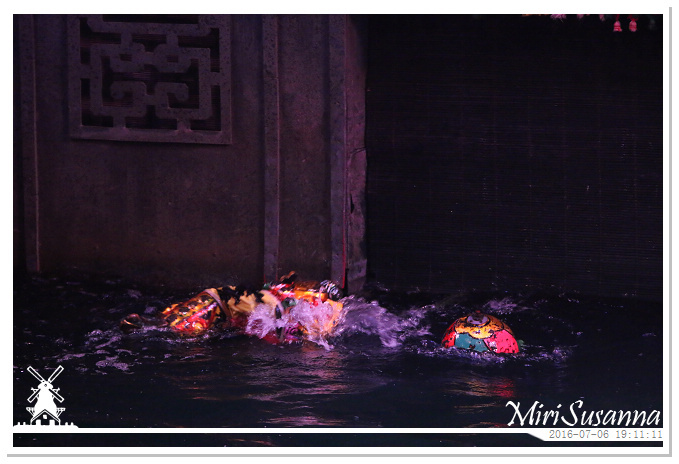 Once day, when the King rode on a boat on a lake to relax, Golden Turtle appeared to get back the sword, since that time, the lake was named Lake of the Restored Sword or Sword Lake which is now in the centre of Hanoi (Official website). 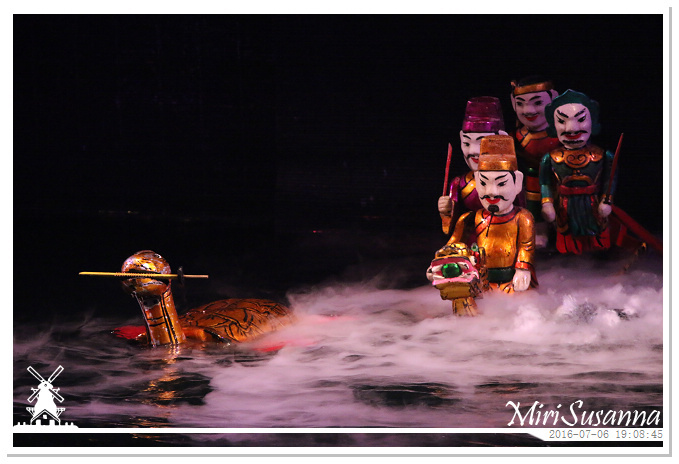 The King returned the sword to the Golden Turtle. 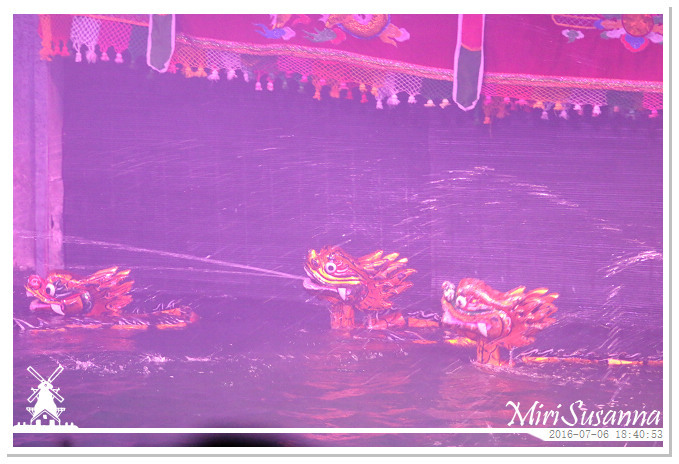 Dance of 4 spirits: dragon, kirin, turtle, phoenix. 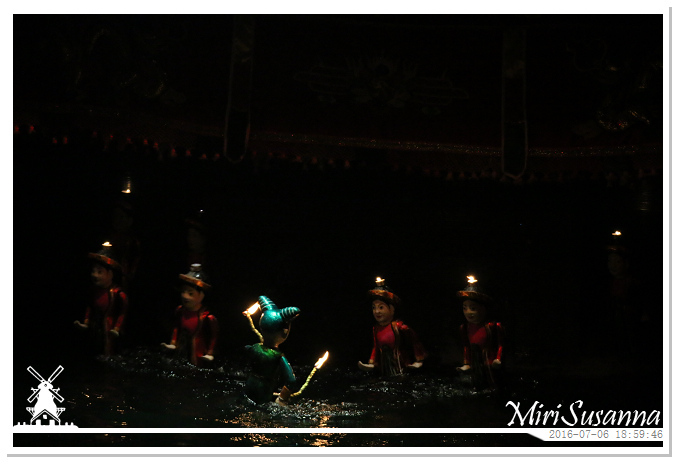 These were the artists (puppeteers) of the whole show.